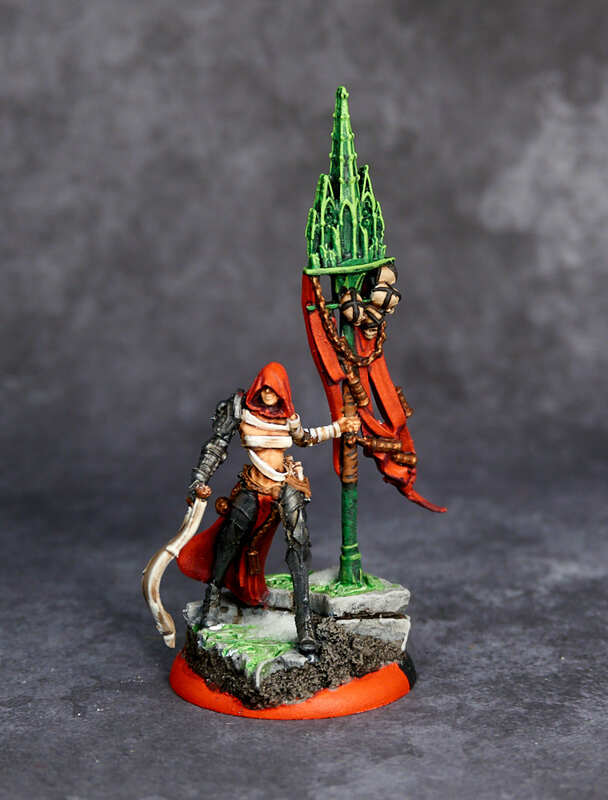 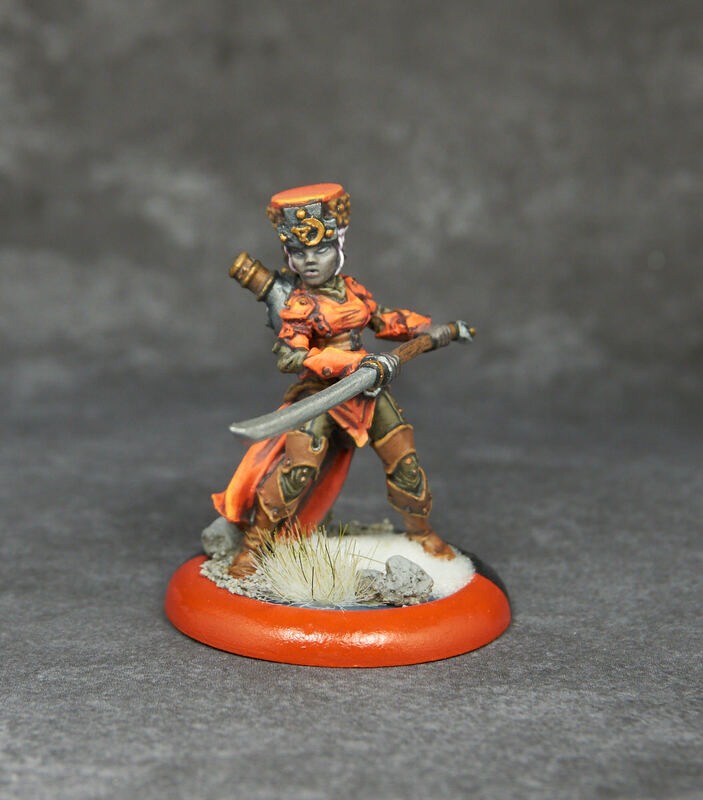 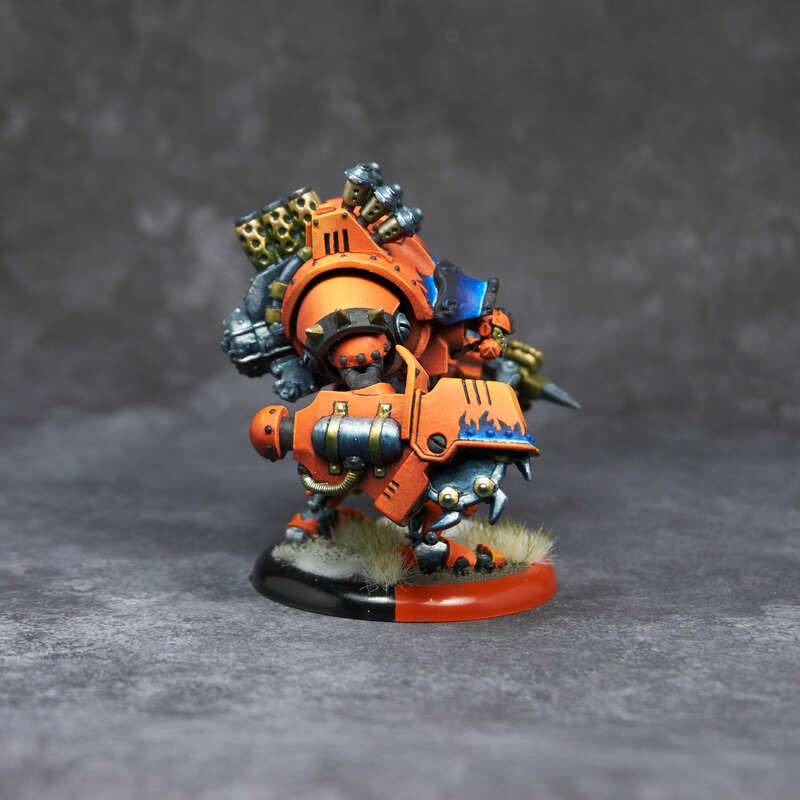 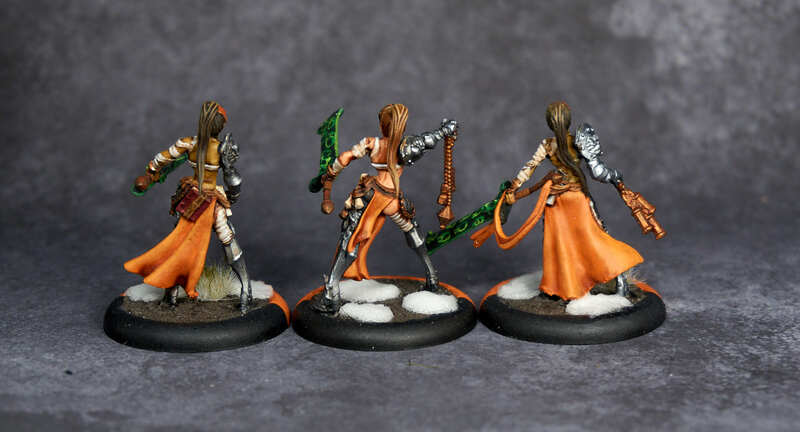 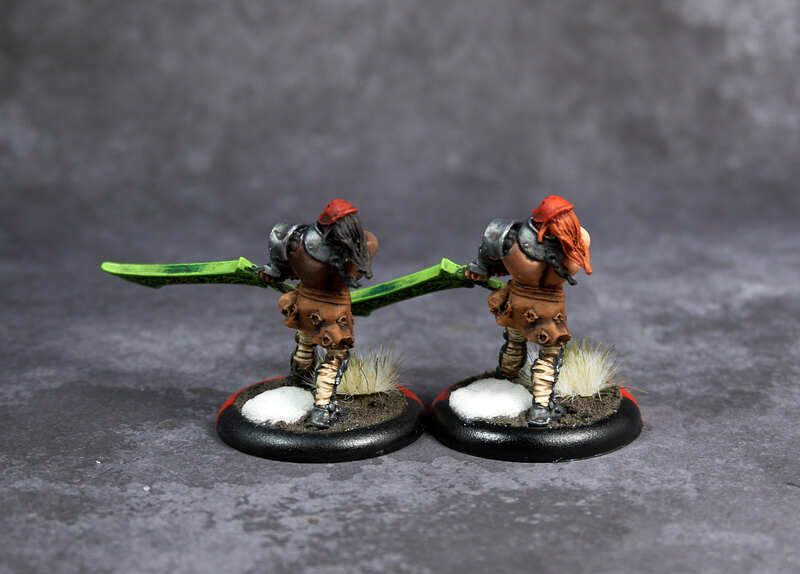 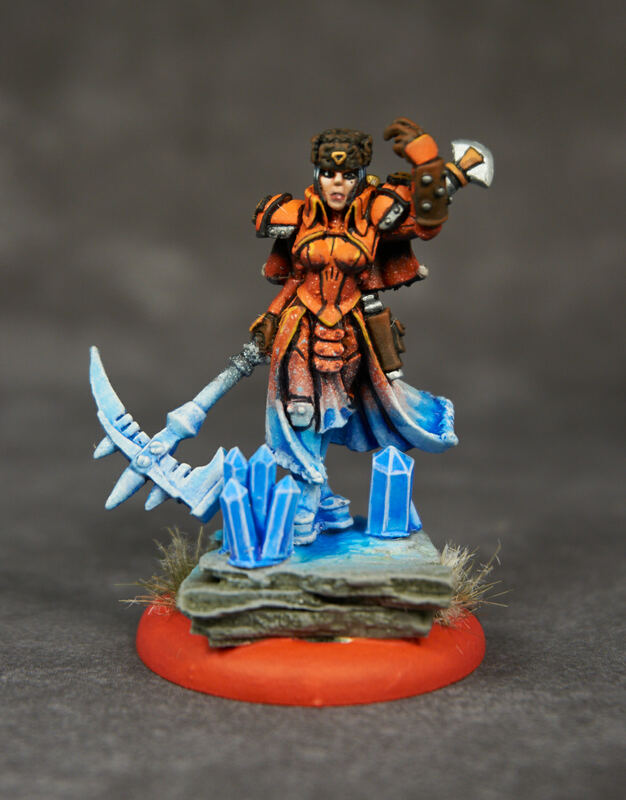 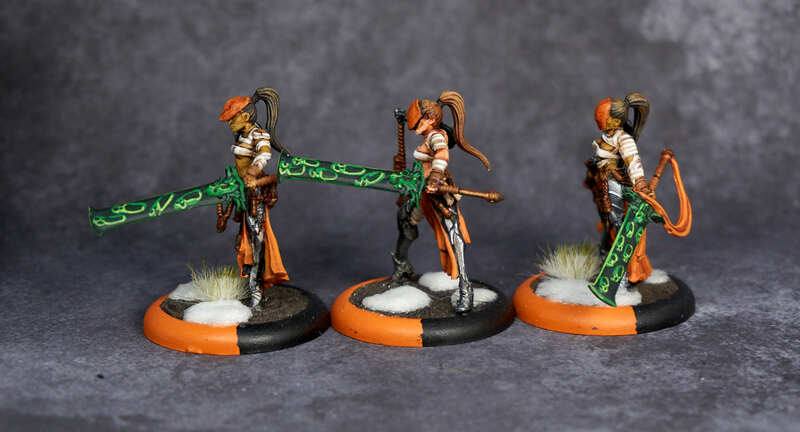 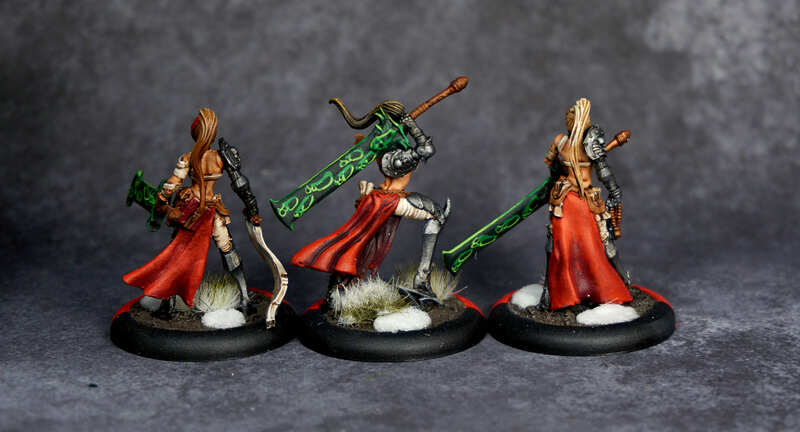 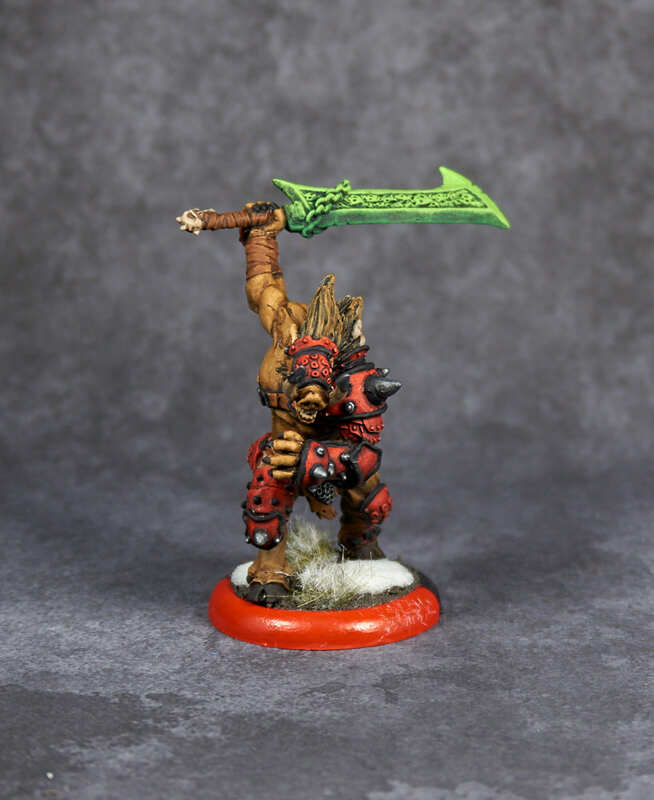 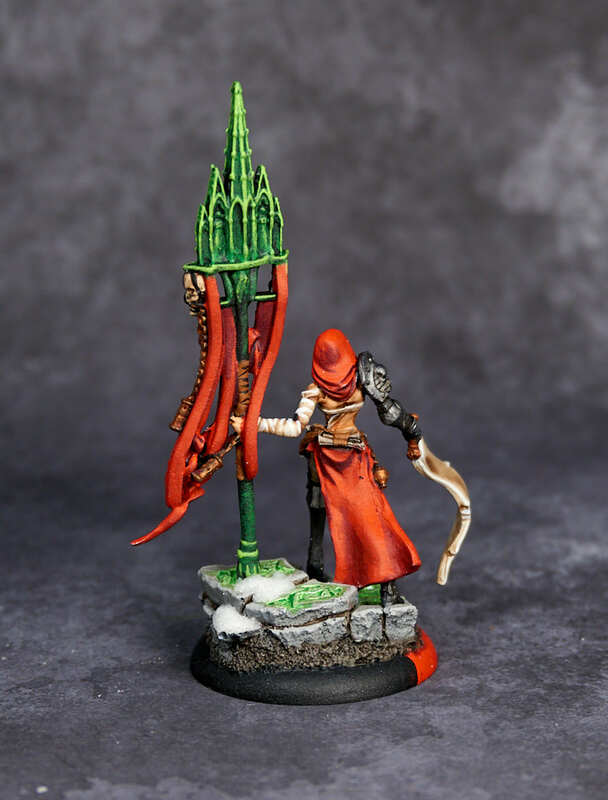 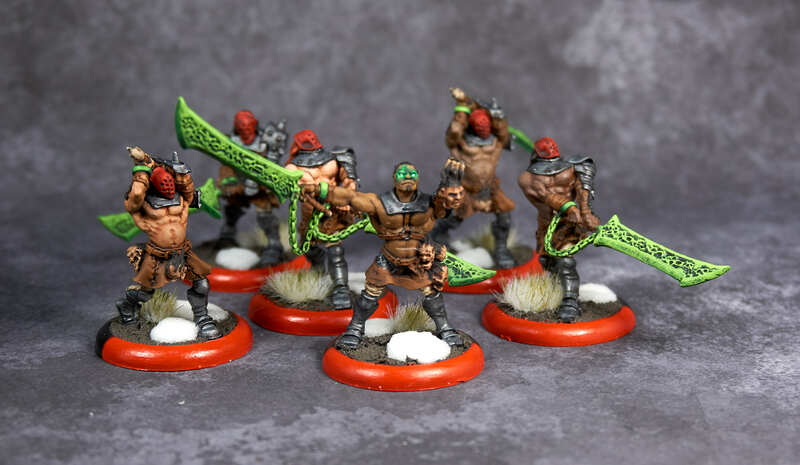 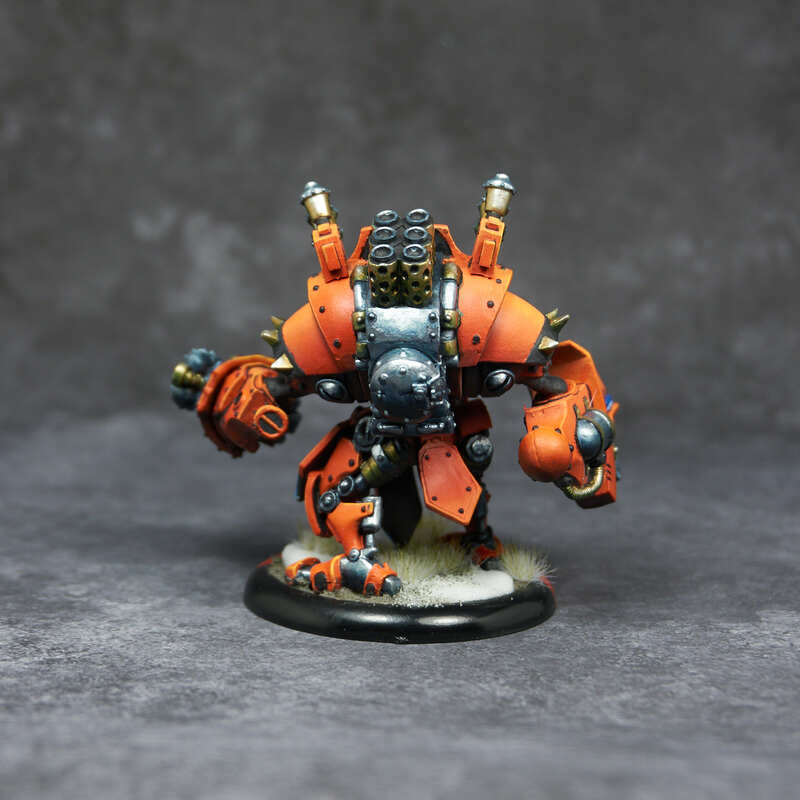 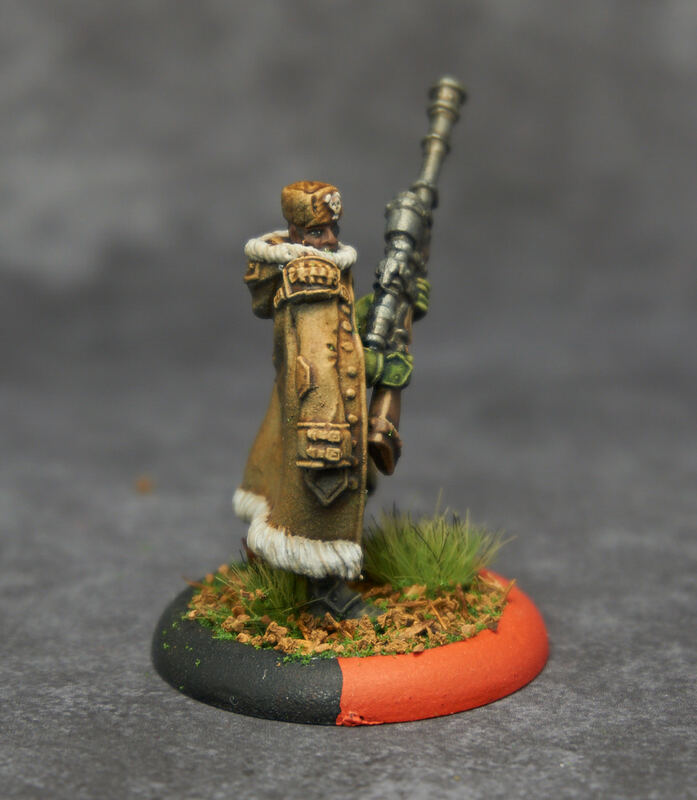 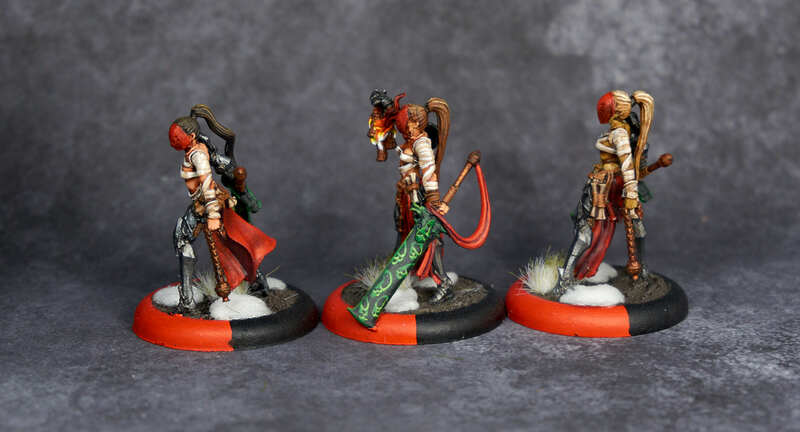 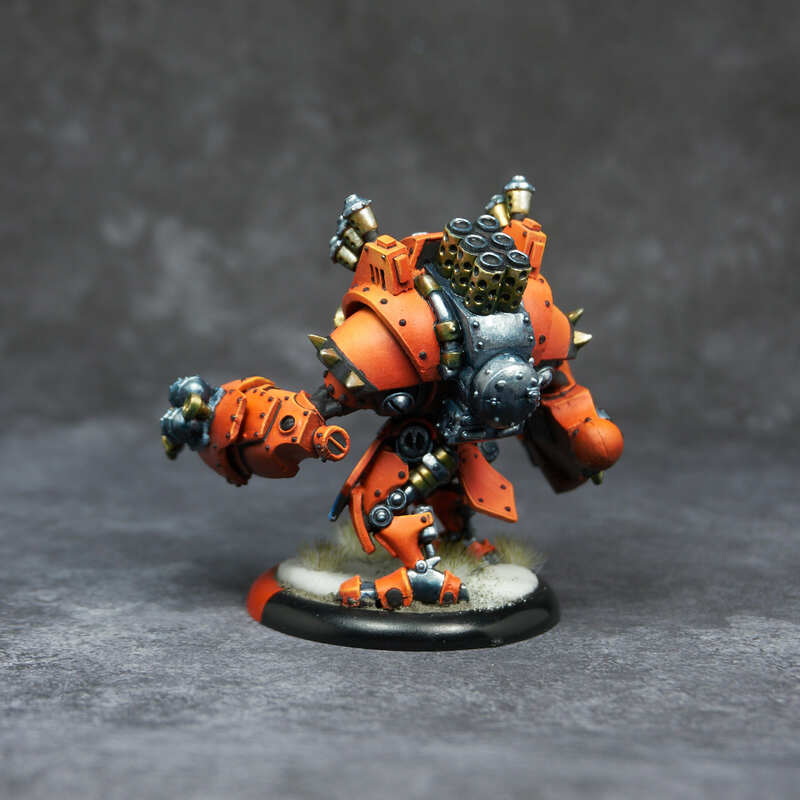 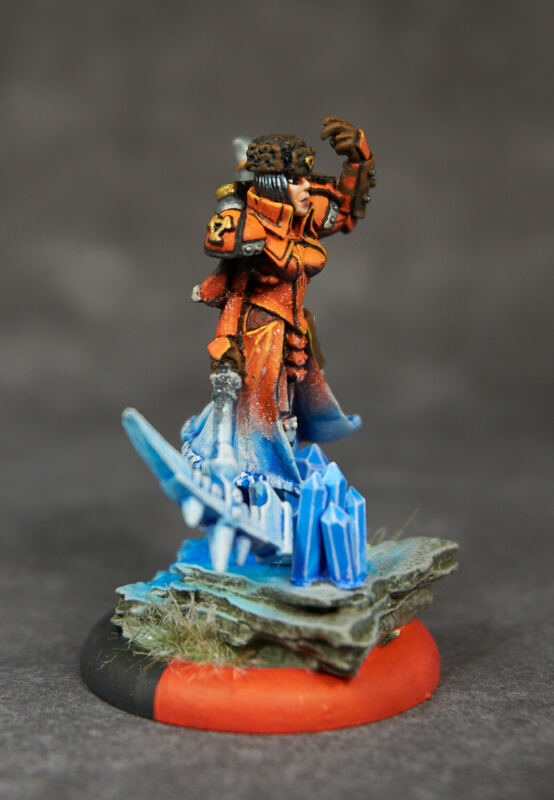 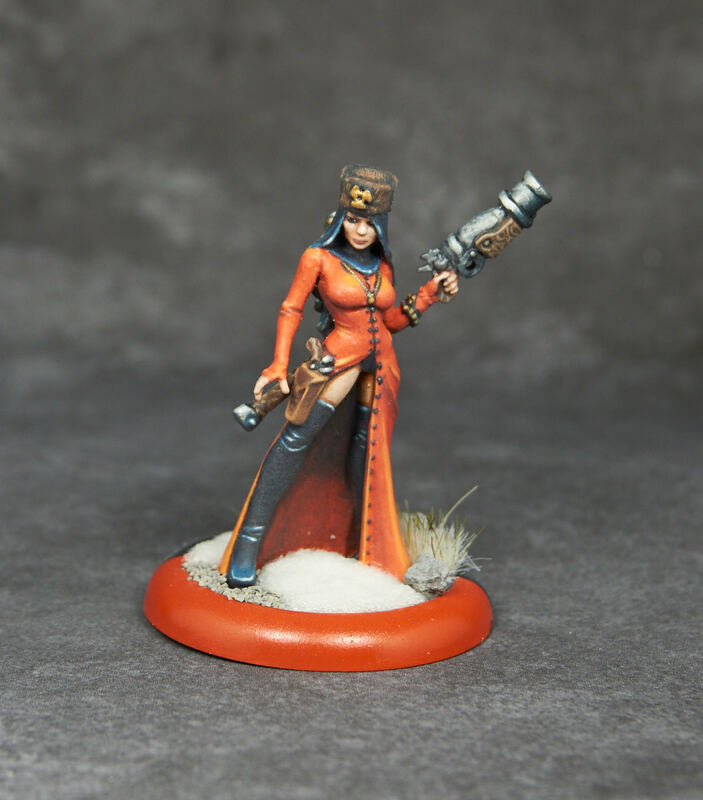 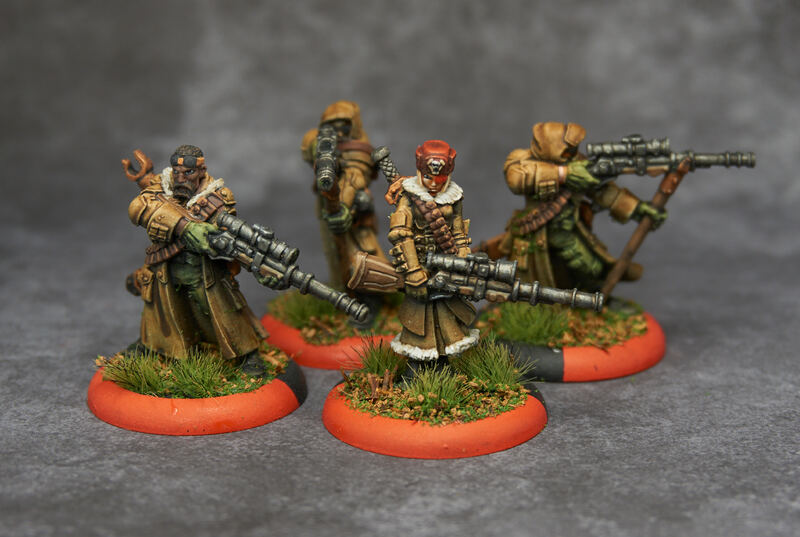 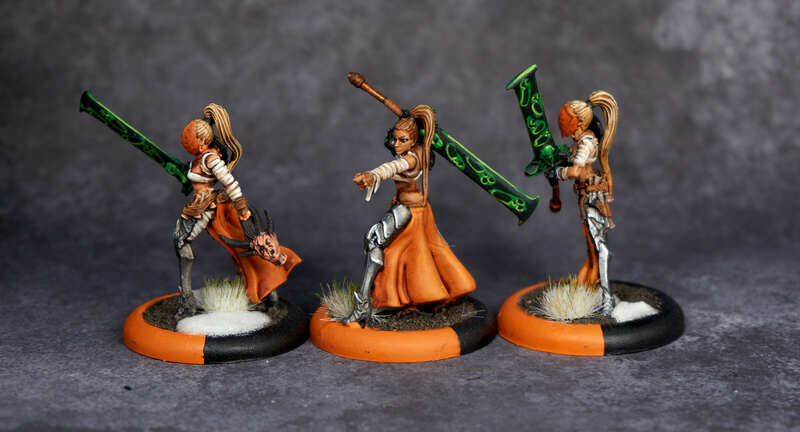 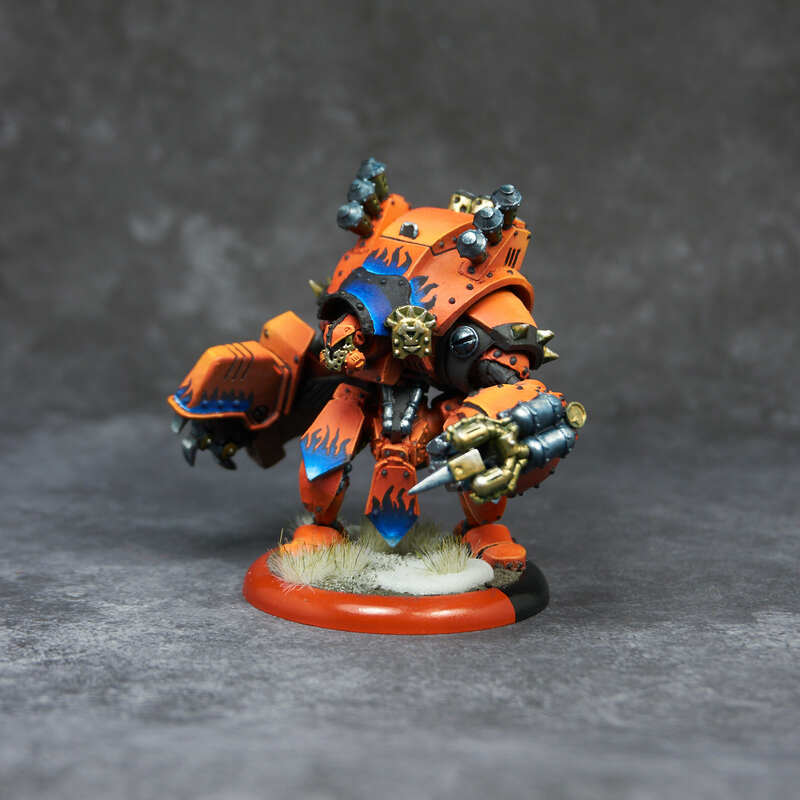 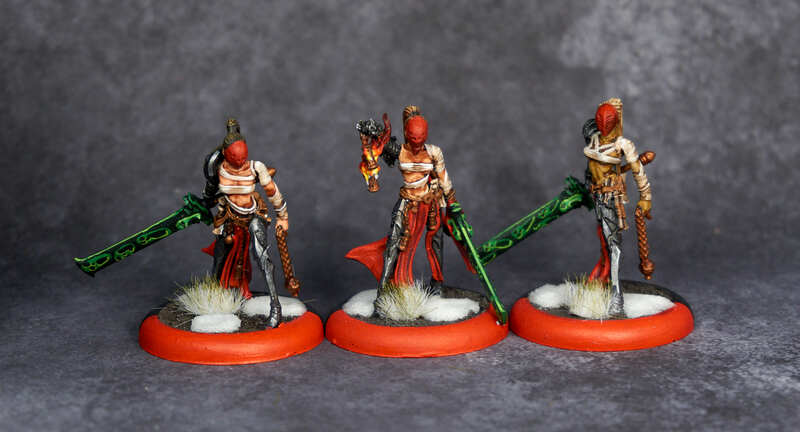 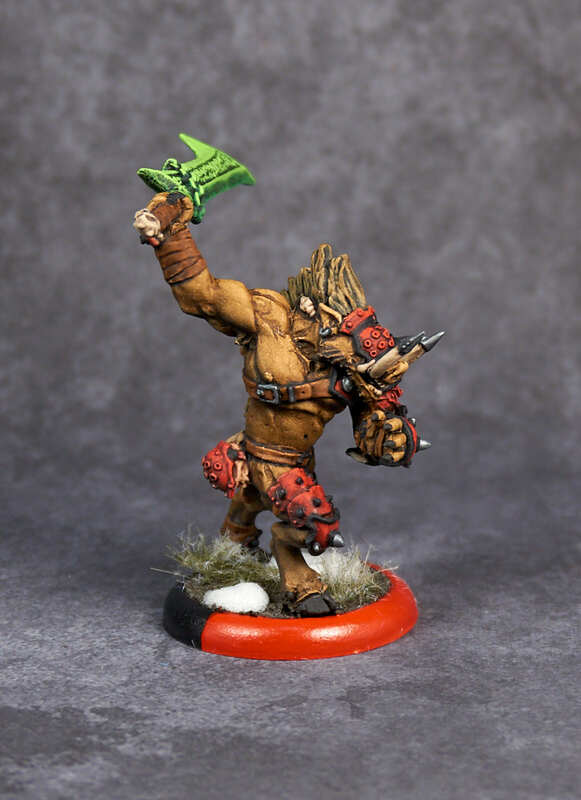 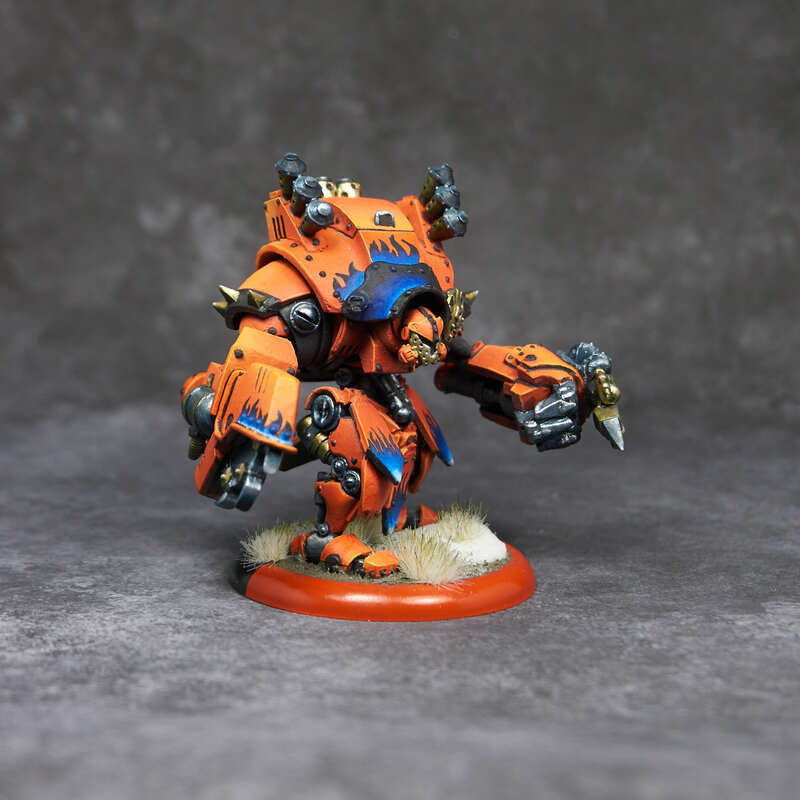 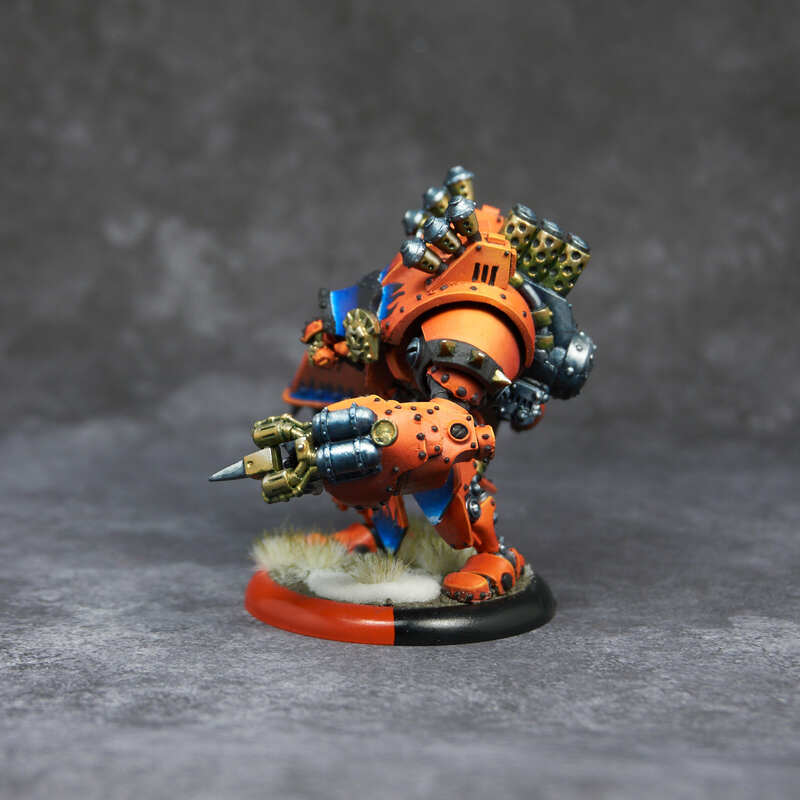 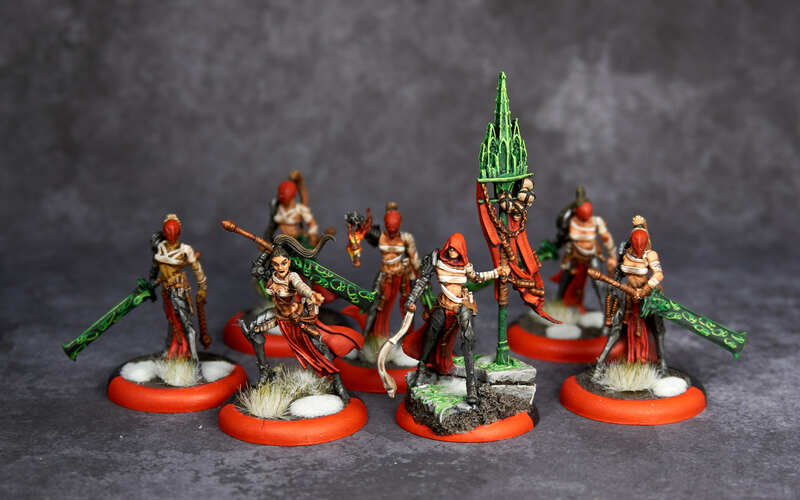 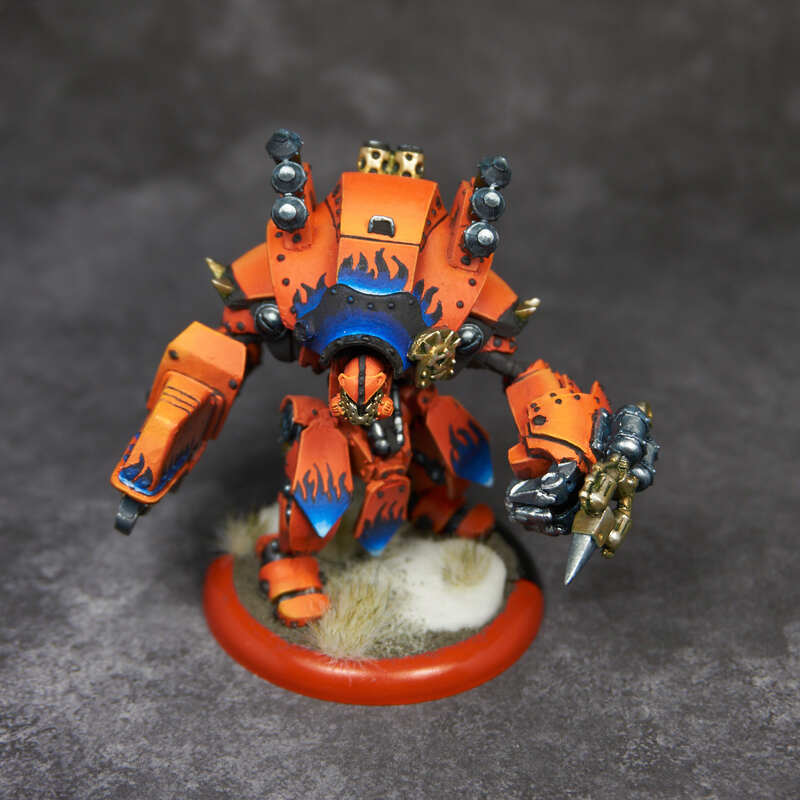 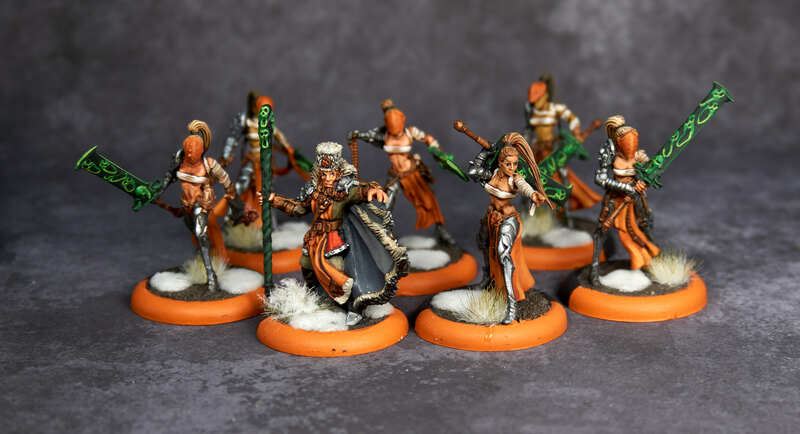 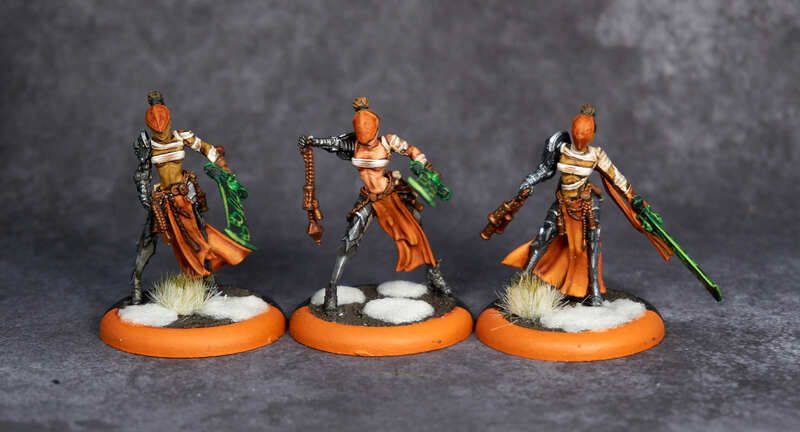 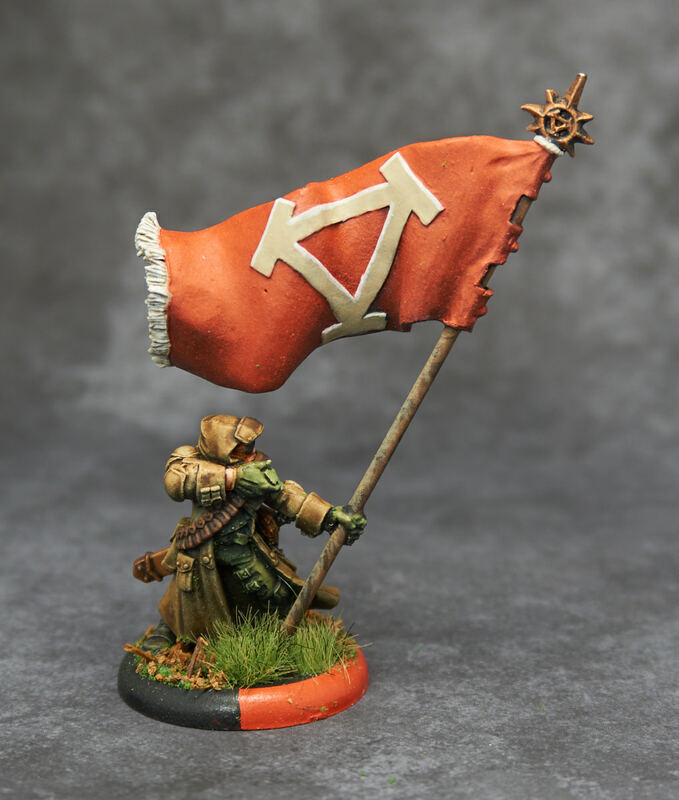 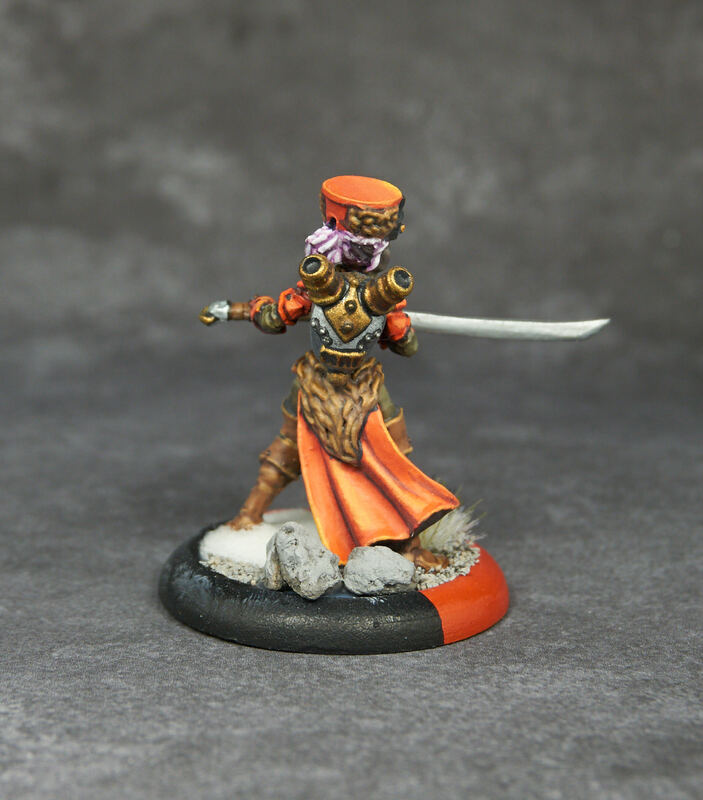 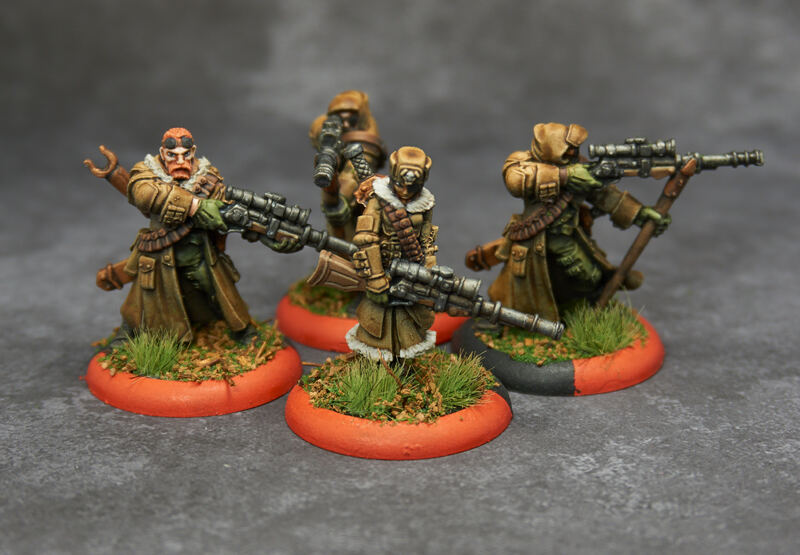 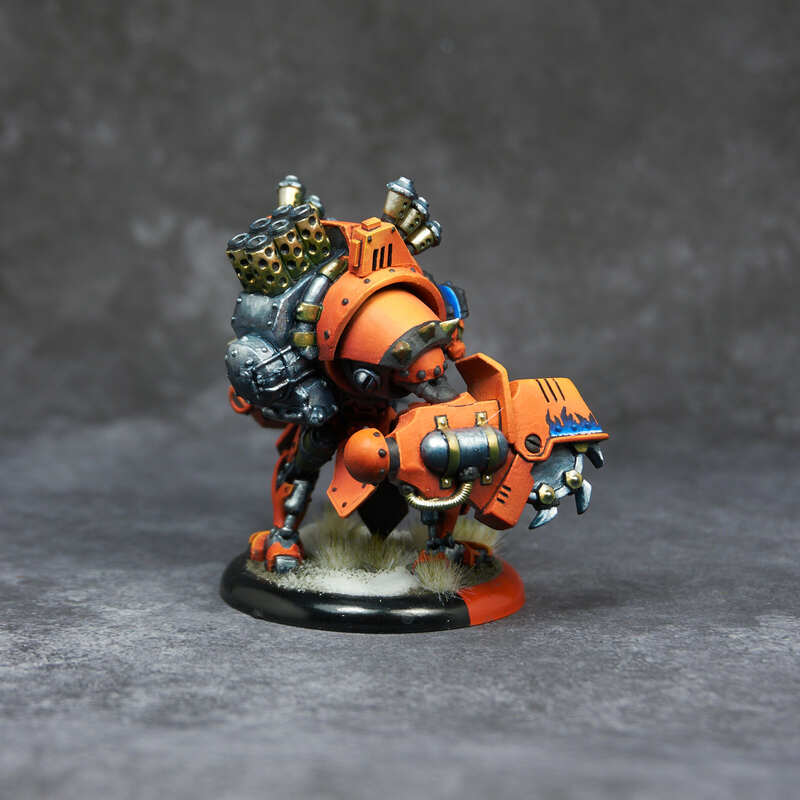 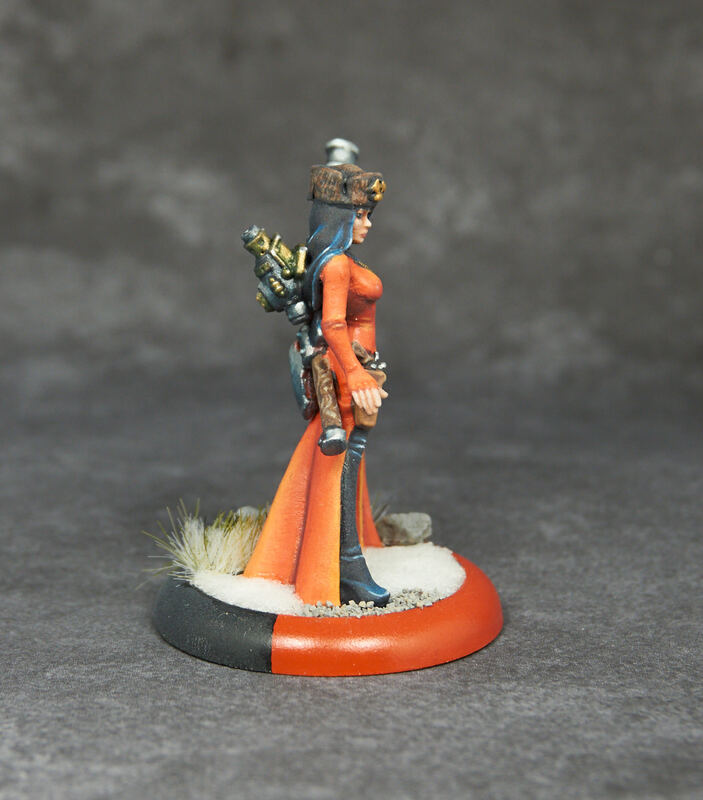 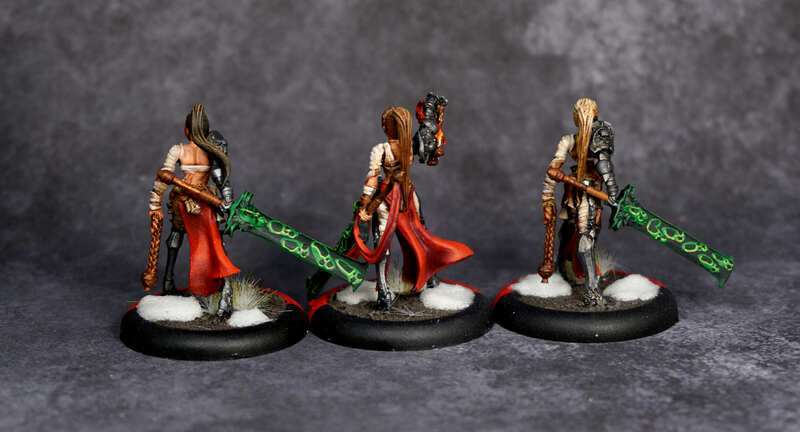 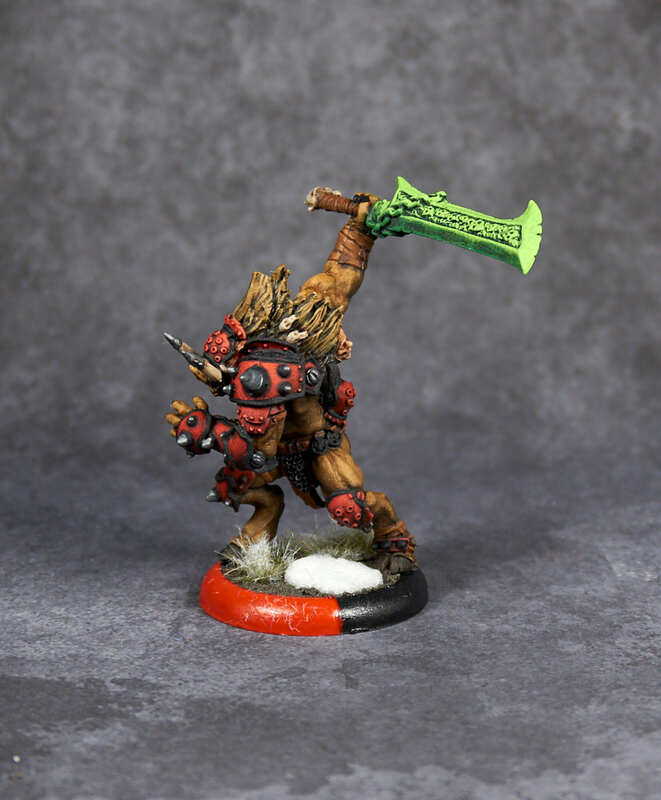 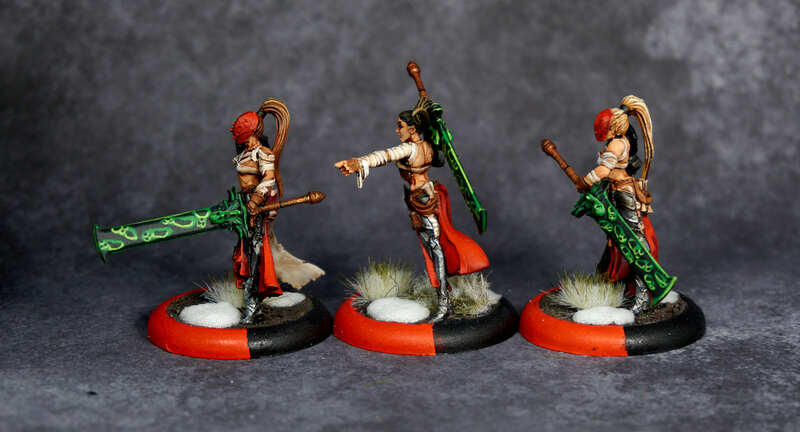 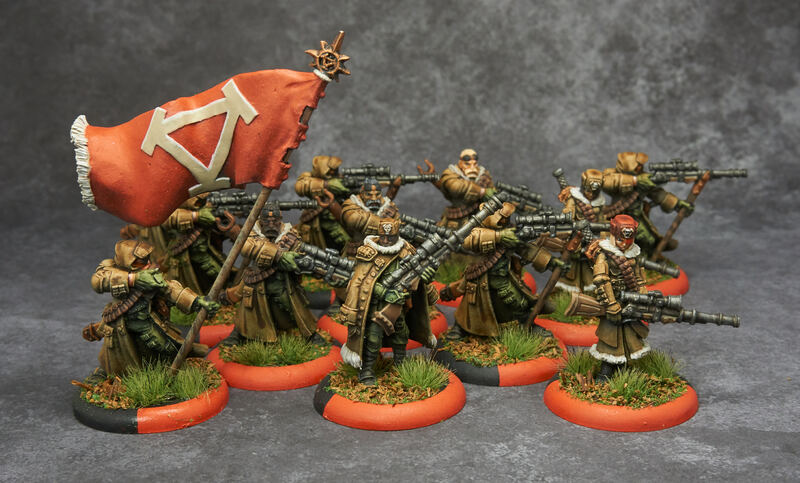 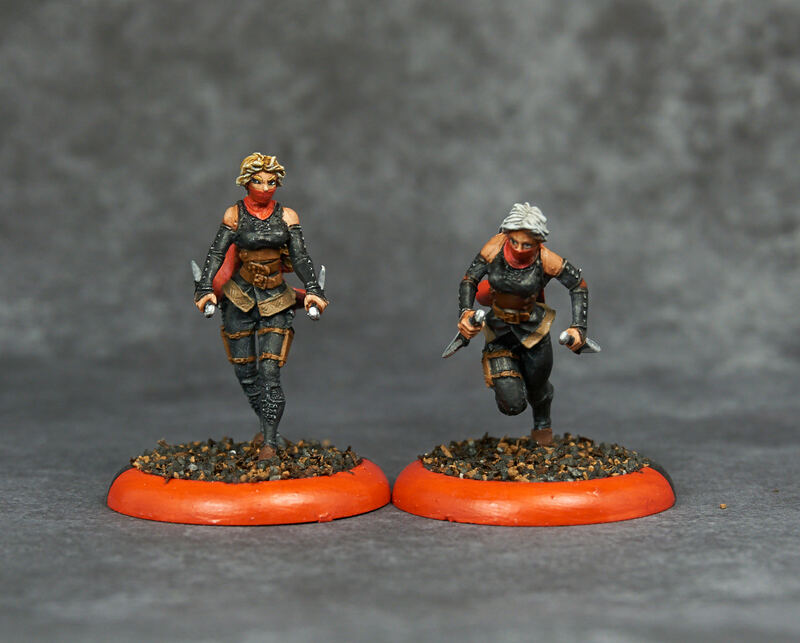 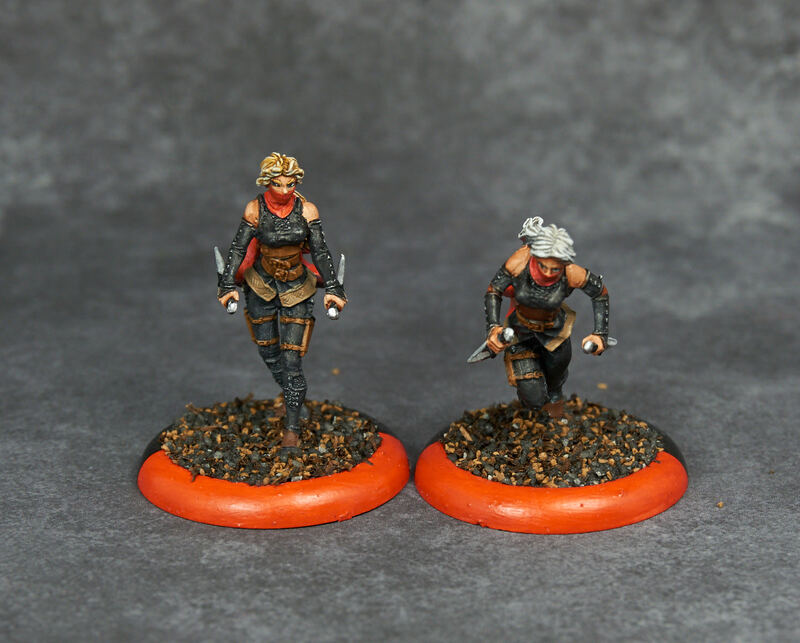 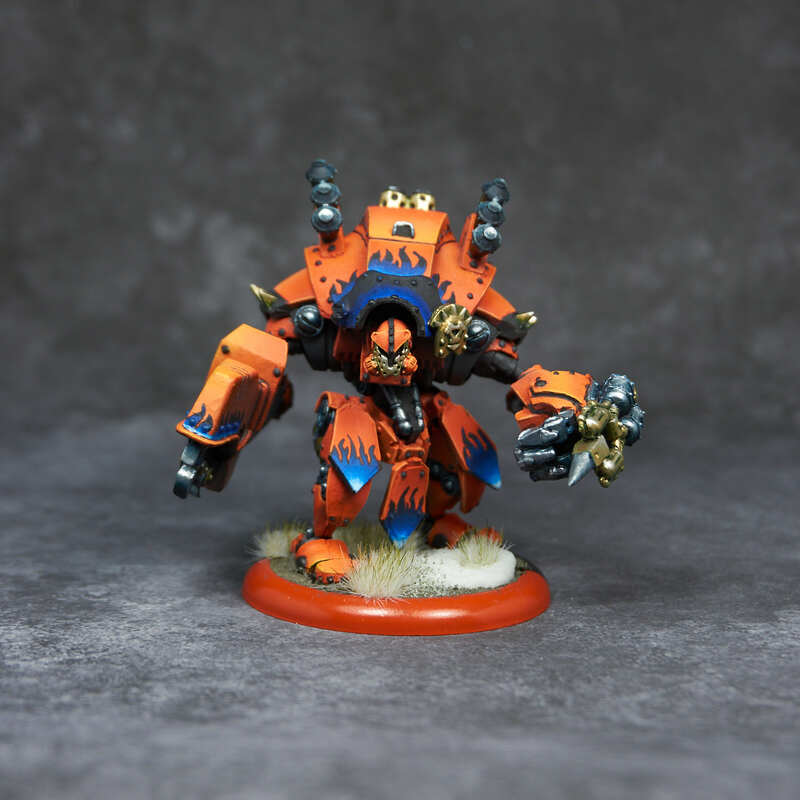 Khador’s Widowmakers are feared by all of her enemies. 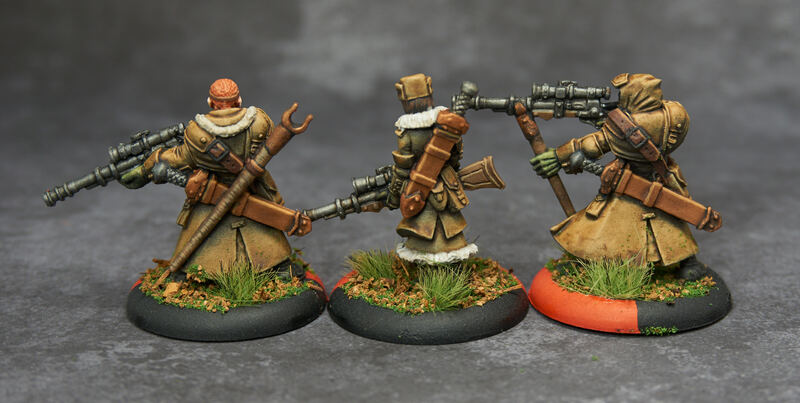 The marksmen triply so. 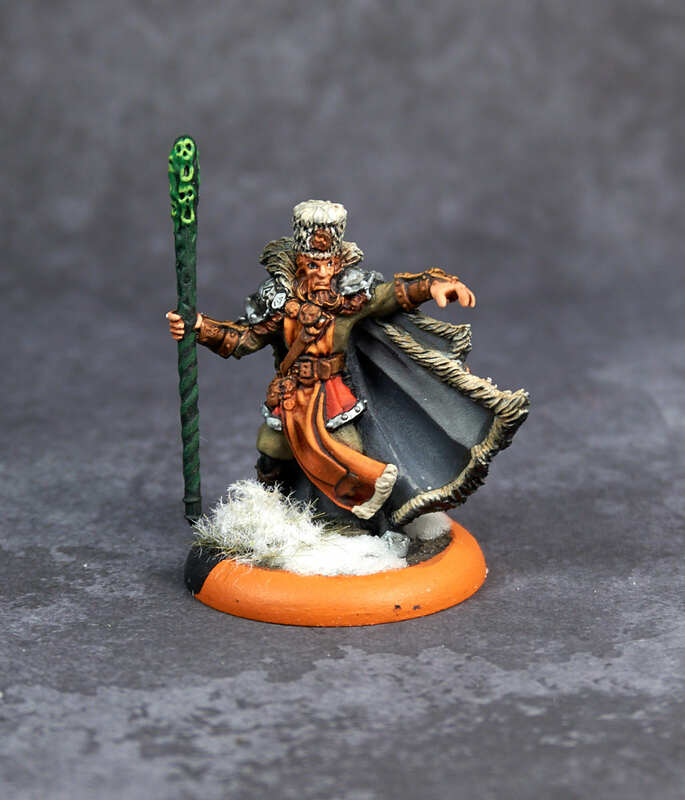 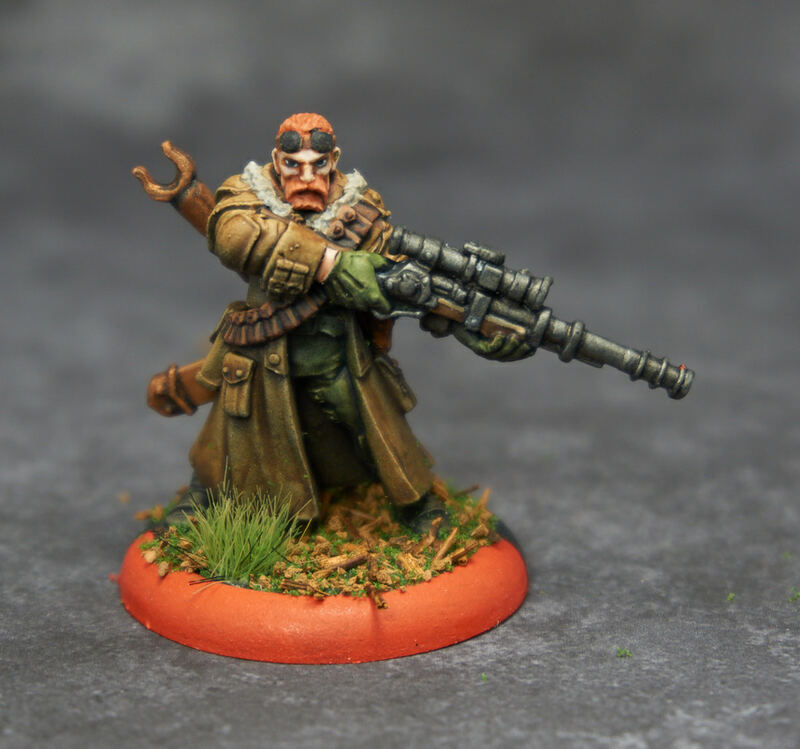 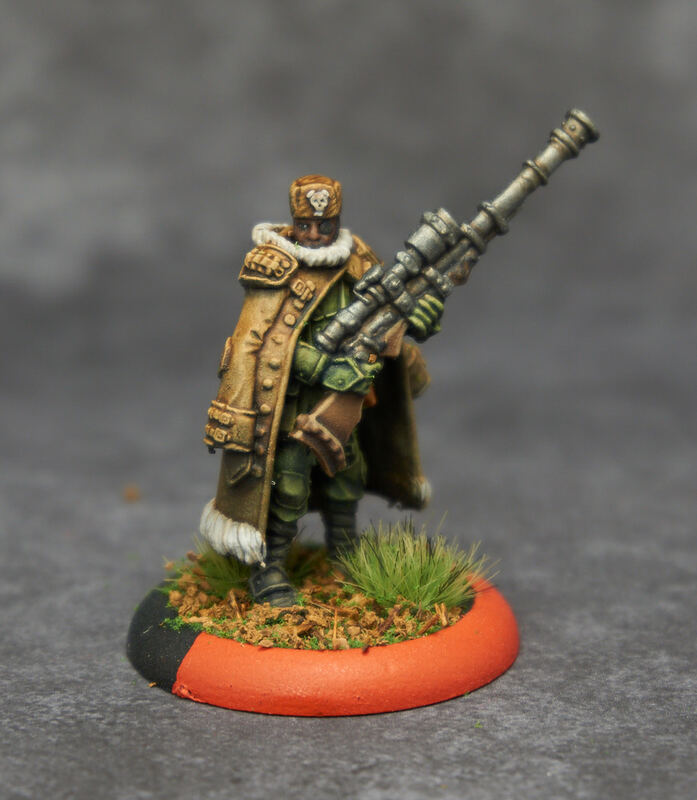 However, when the concept of “elite marksmen” was attempted to be explained to the natives of South Khador, they just didn’t get it. 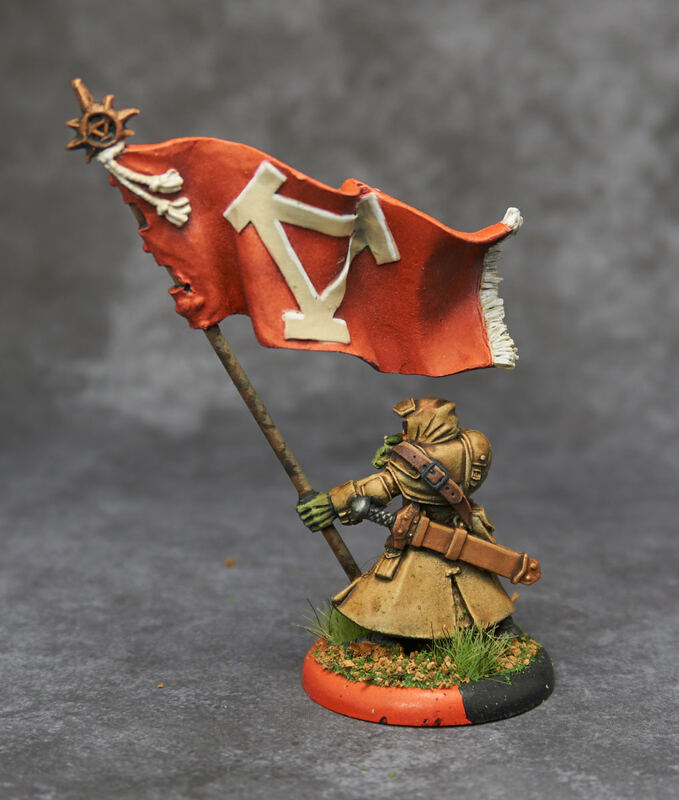 Not only did they throw their rank-and-file at the problem, they insisted on waving about giant flags, which while very patriotic, dramatically hindered their effectiveness as snipers. 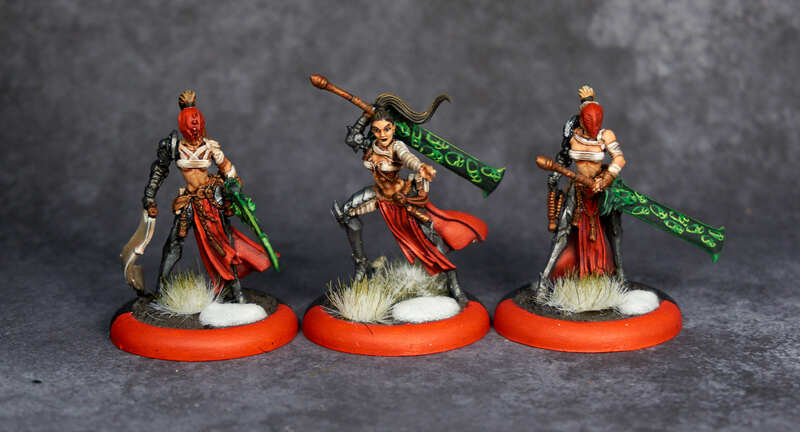 I was originally planning on spending a good amount of time on these models, but the first pass of glazes and paints over directional highlighting looked sufficiently good that I just kind of finished up the details and called them done. 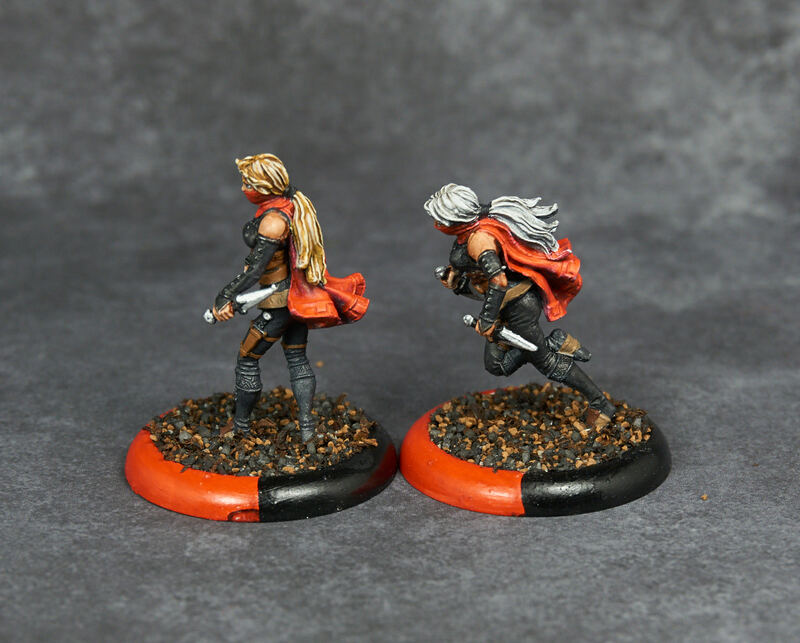 My favorite part is the “witcher” hair on the running one. 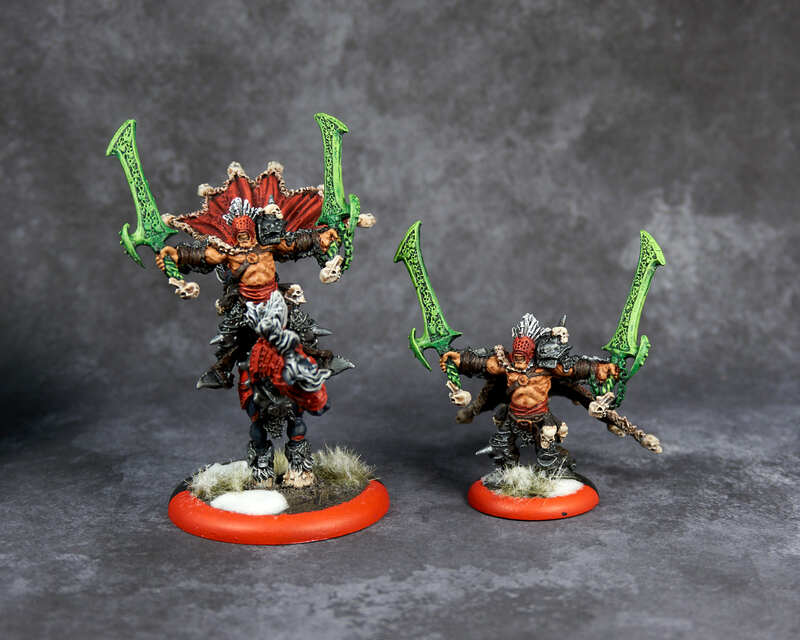 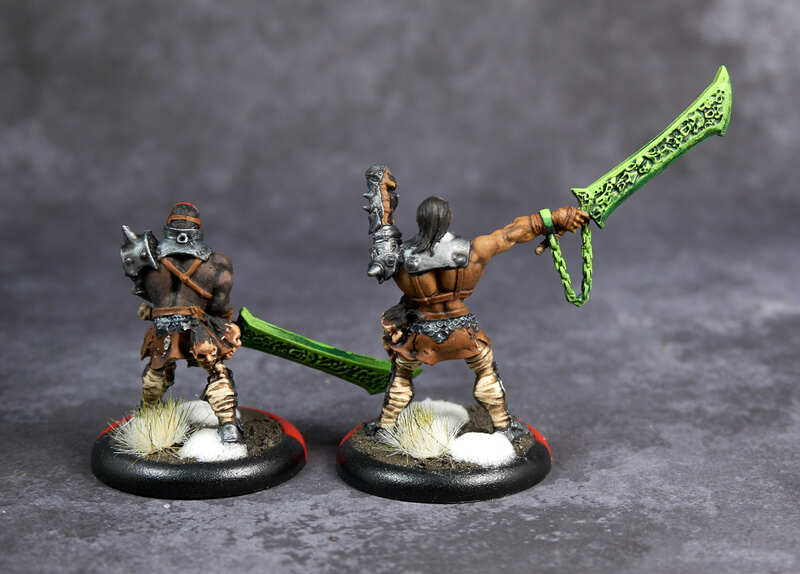 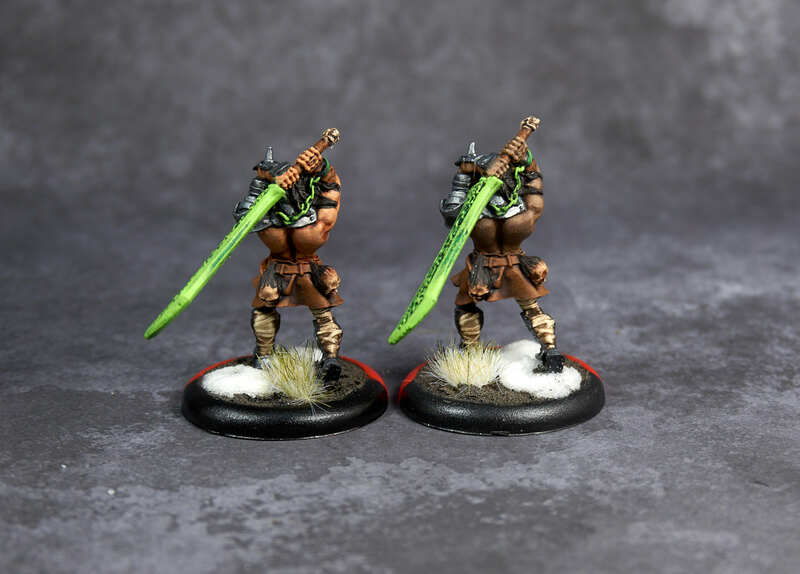 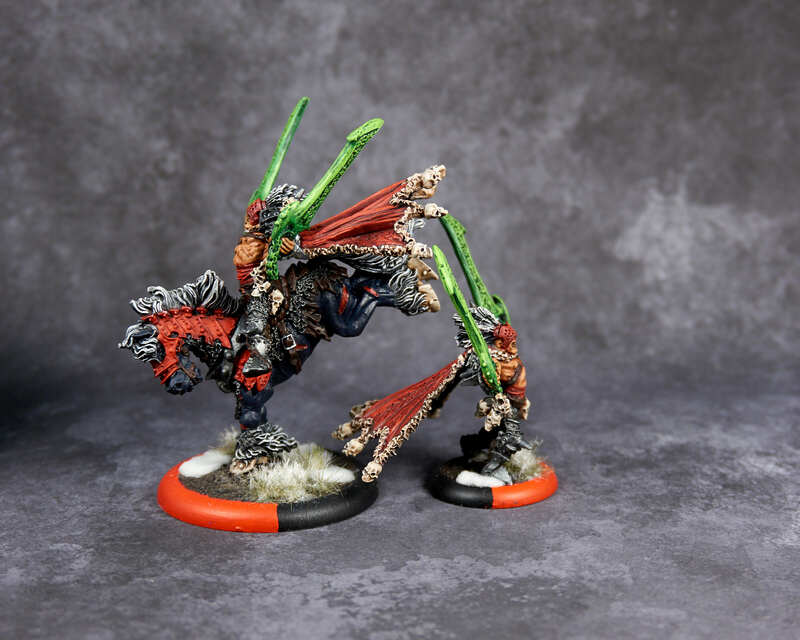 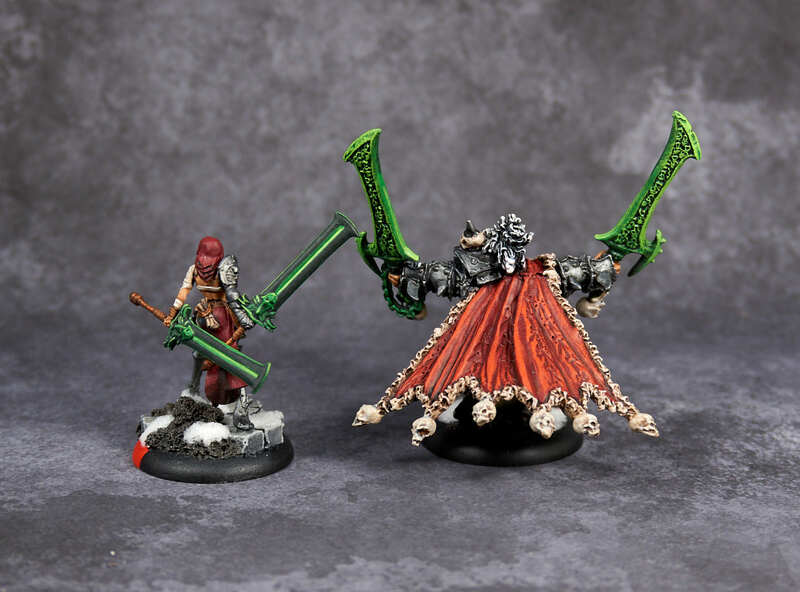 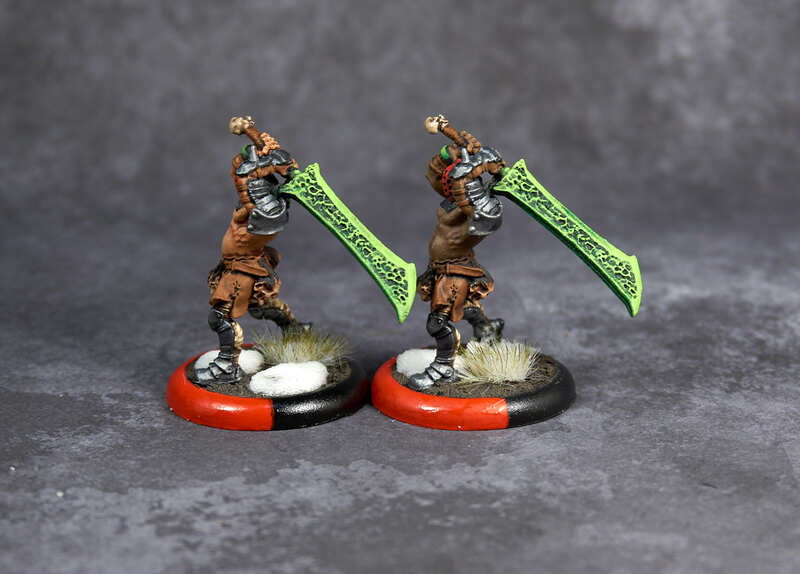 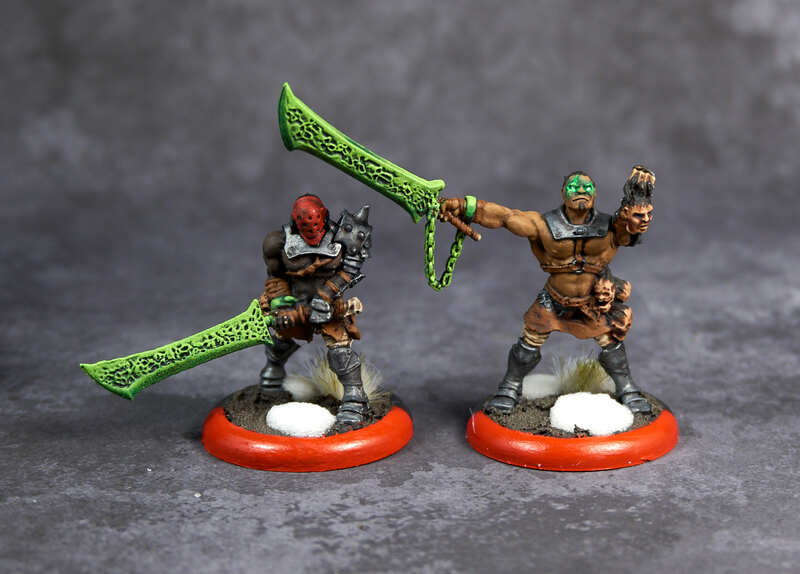 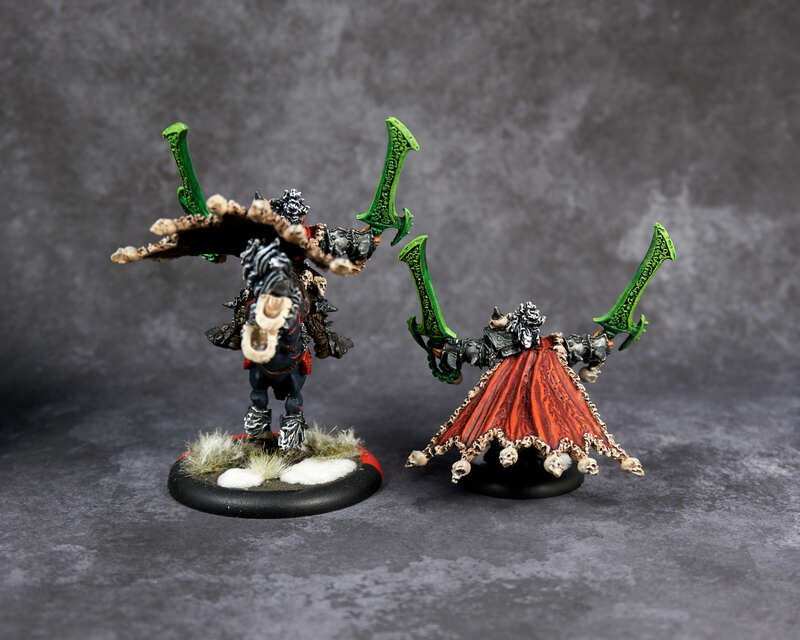 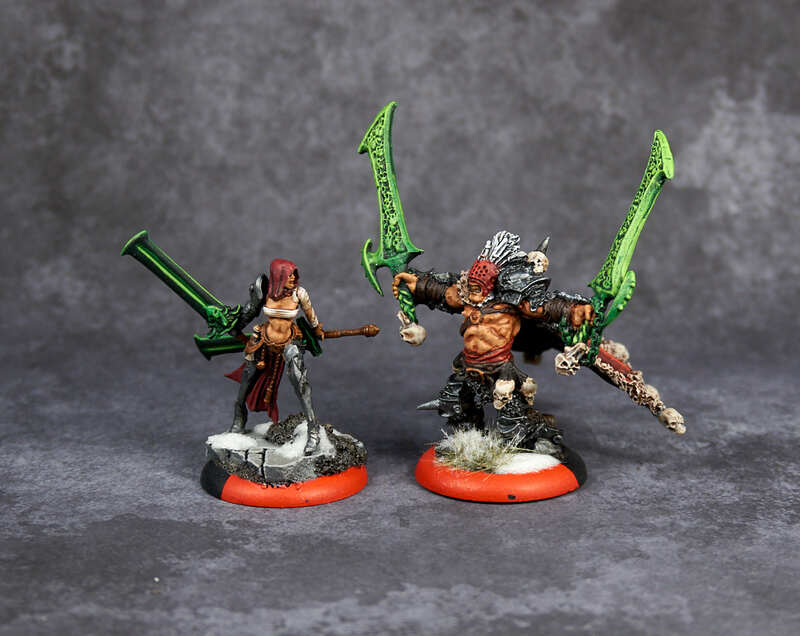 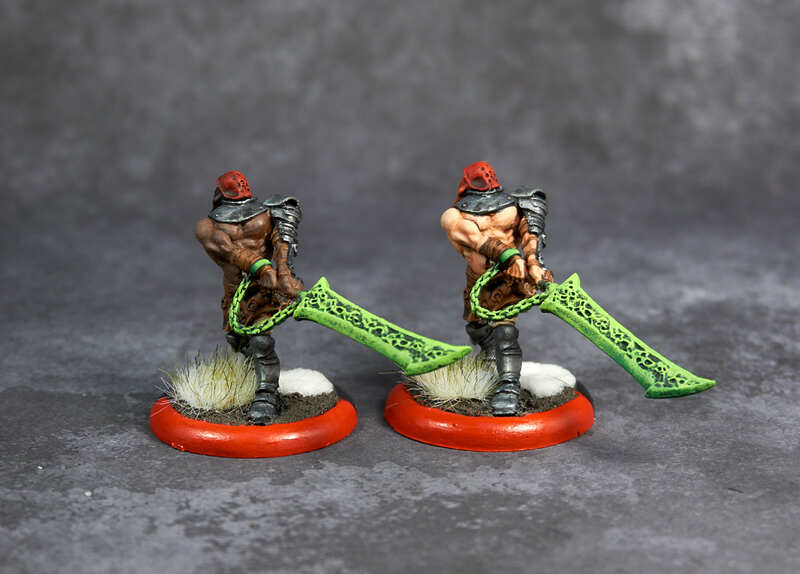 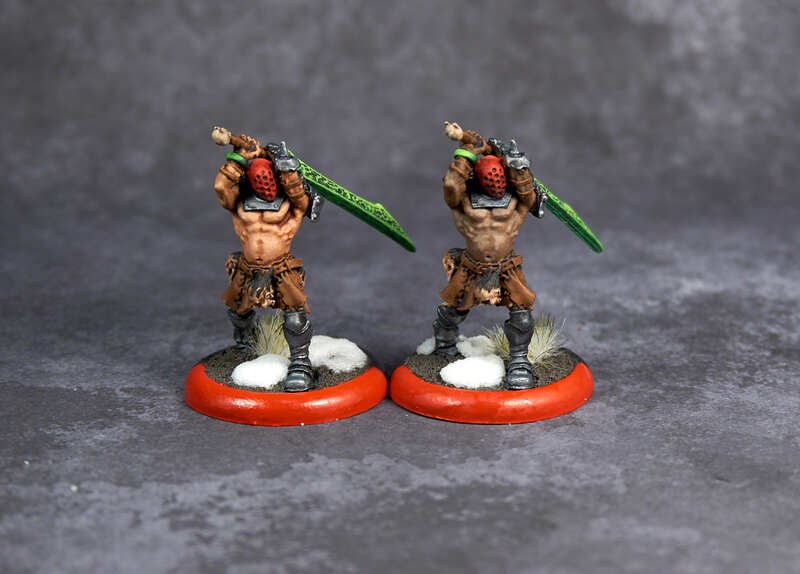 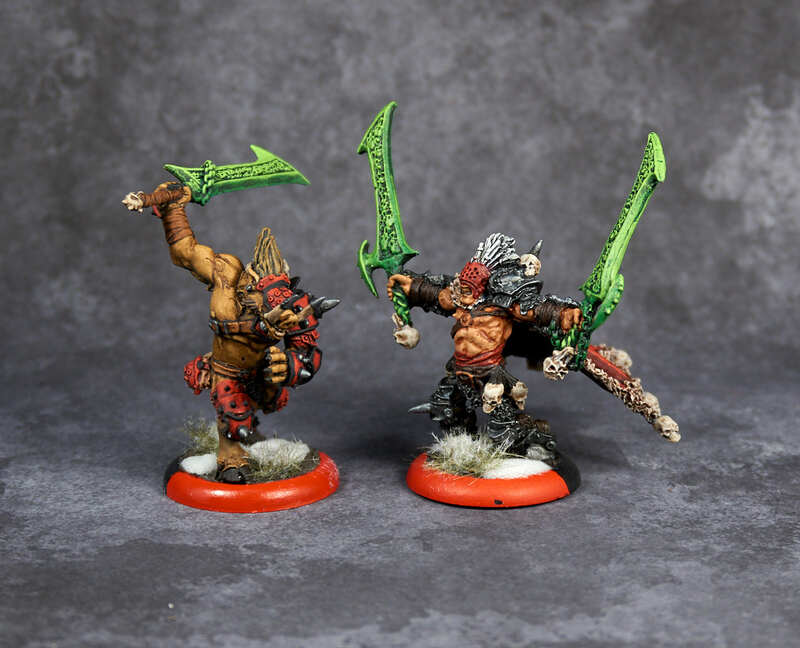 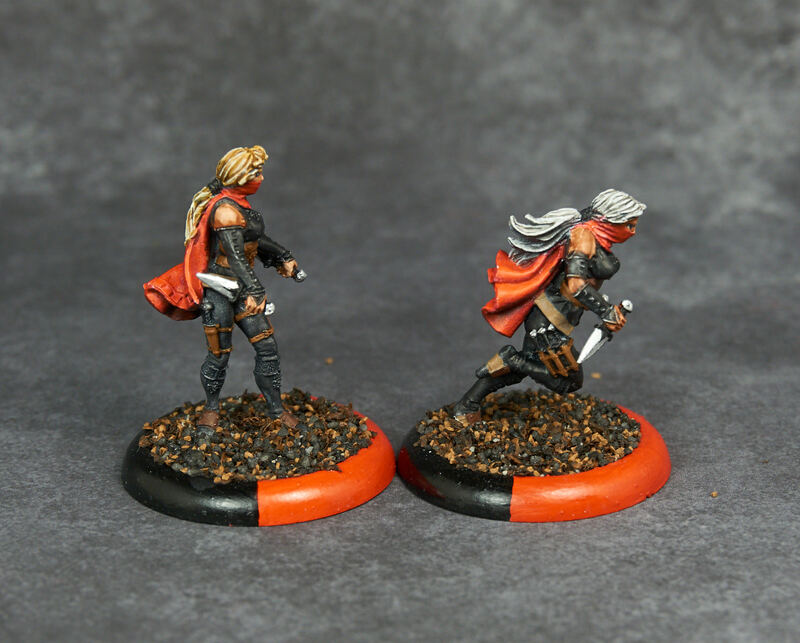 For those who are unfamiliar with Warmachine, yes, these two are basically ninjas. 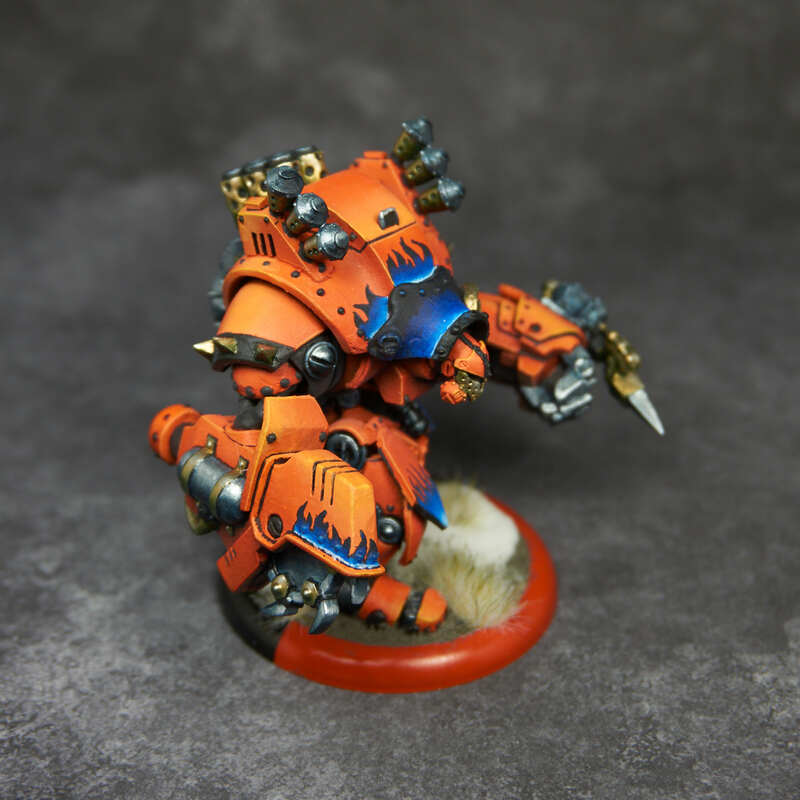 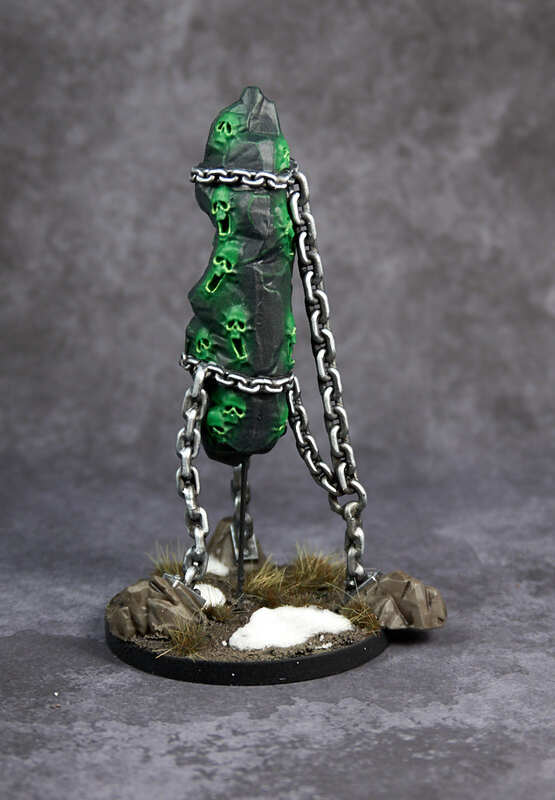 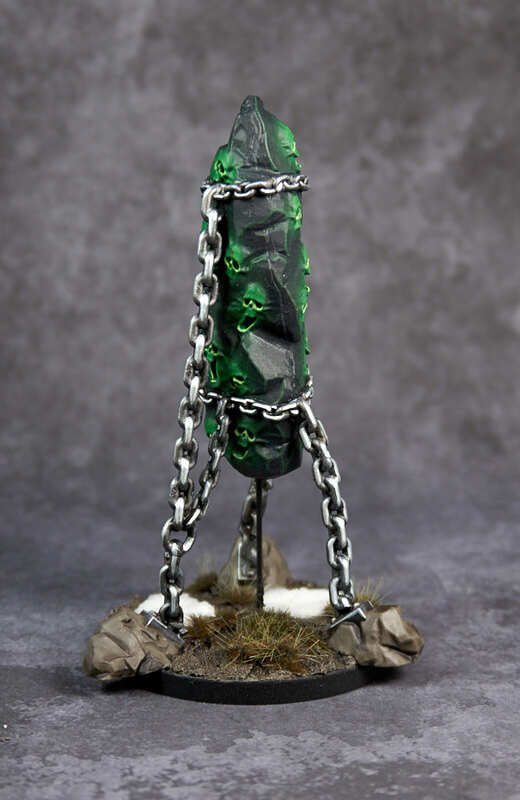 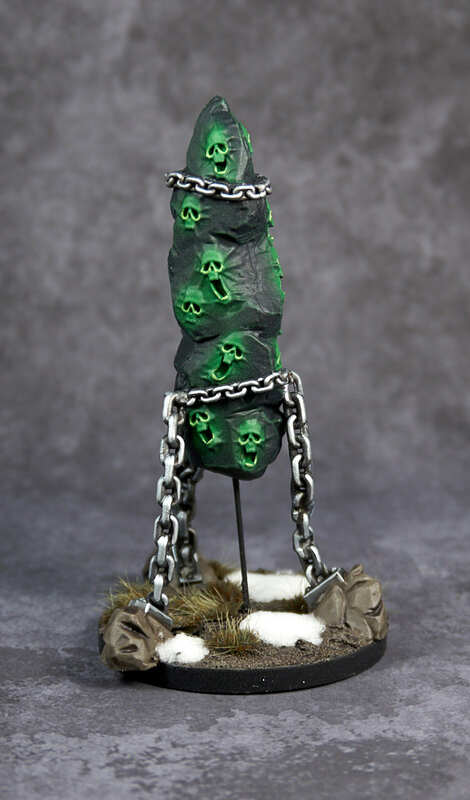 They can run right through enemy models without getting attacked, they can’t be attacked from more than 5″ away, and they’re a huge PITA to hit in melee. 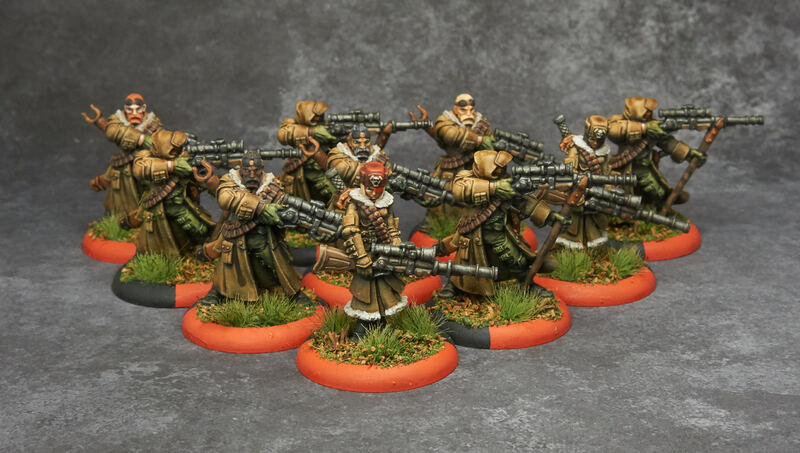 Original figure is a Raging Heroes “nuns with guns” figure. 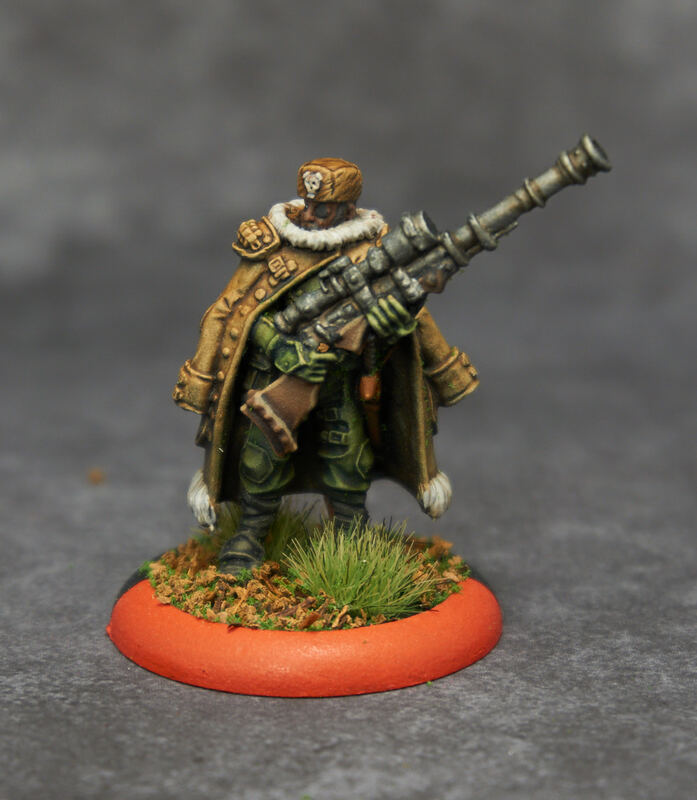 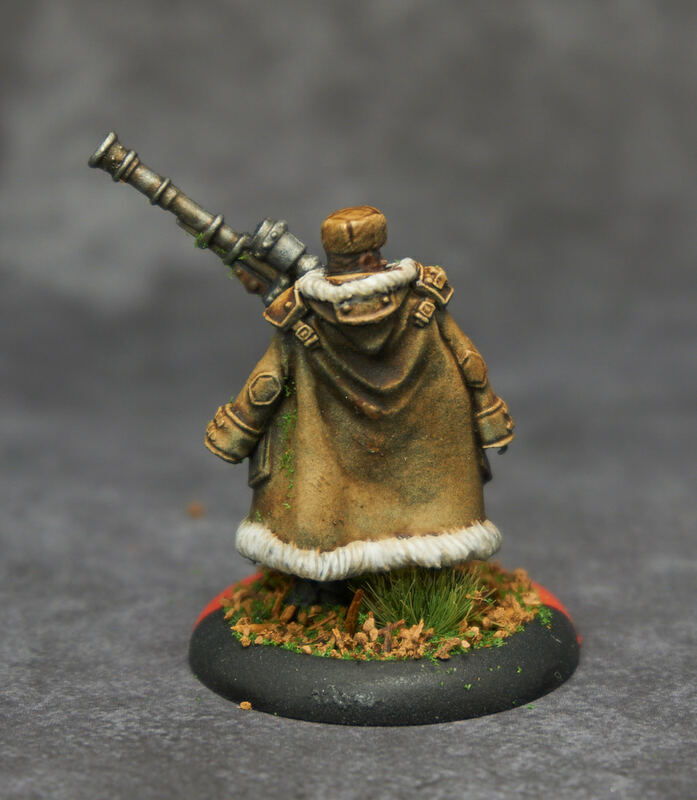 I replaced the 40k-looking gun with a blunderbuss, added Malakov1’s turbine and a Winter Guard hat. 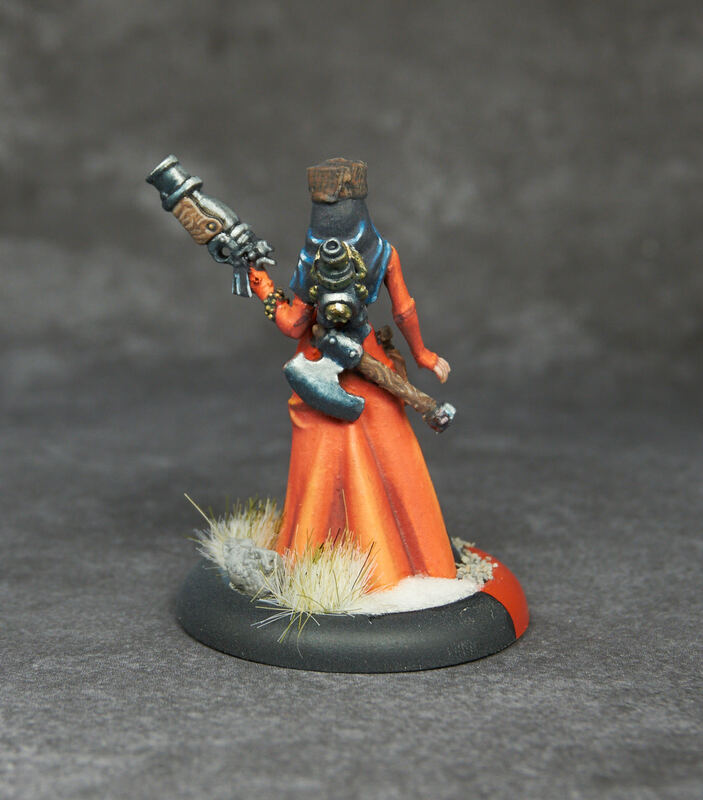 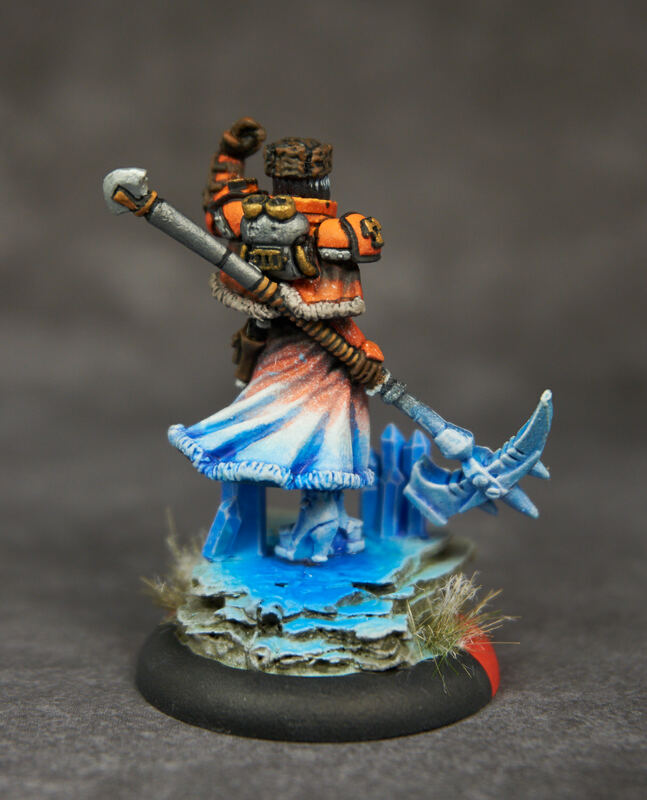 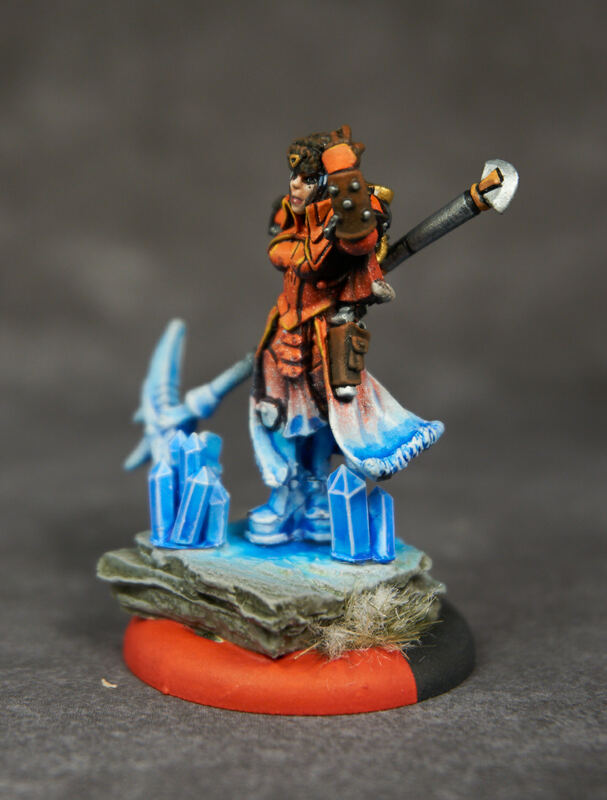 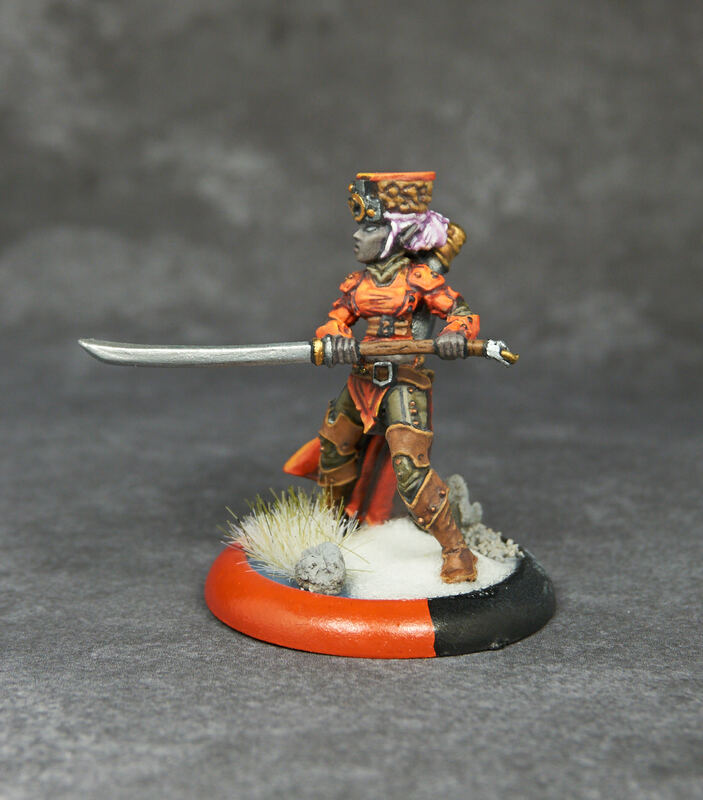 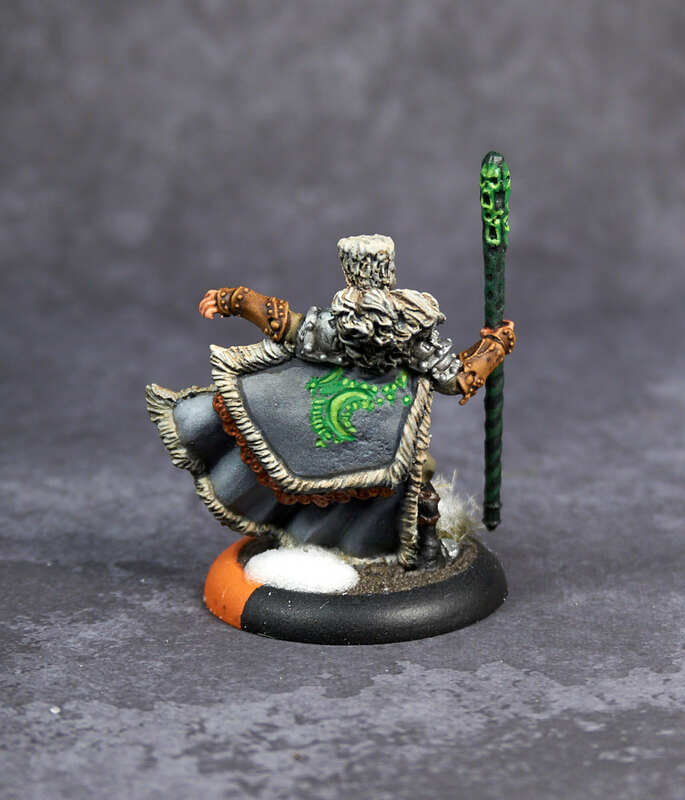 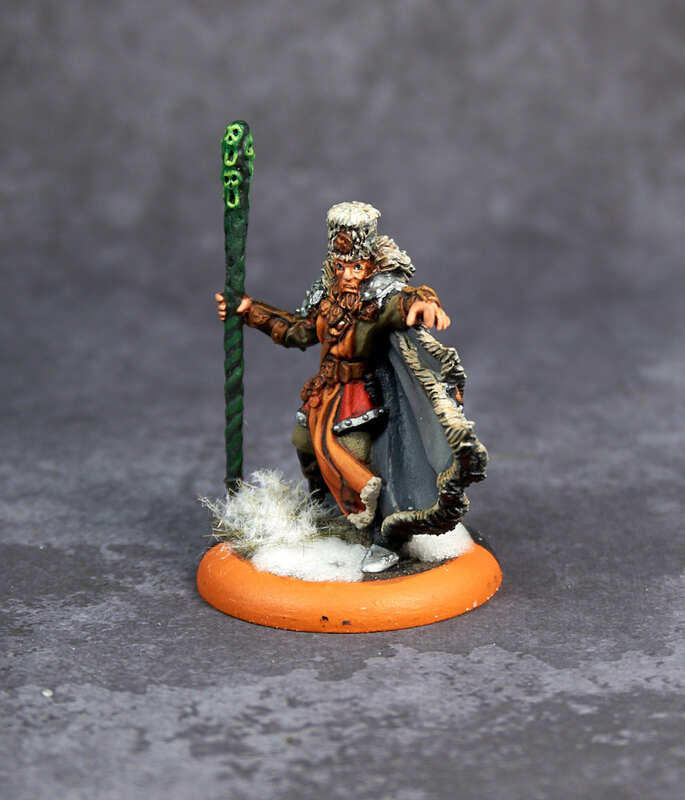 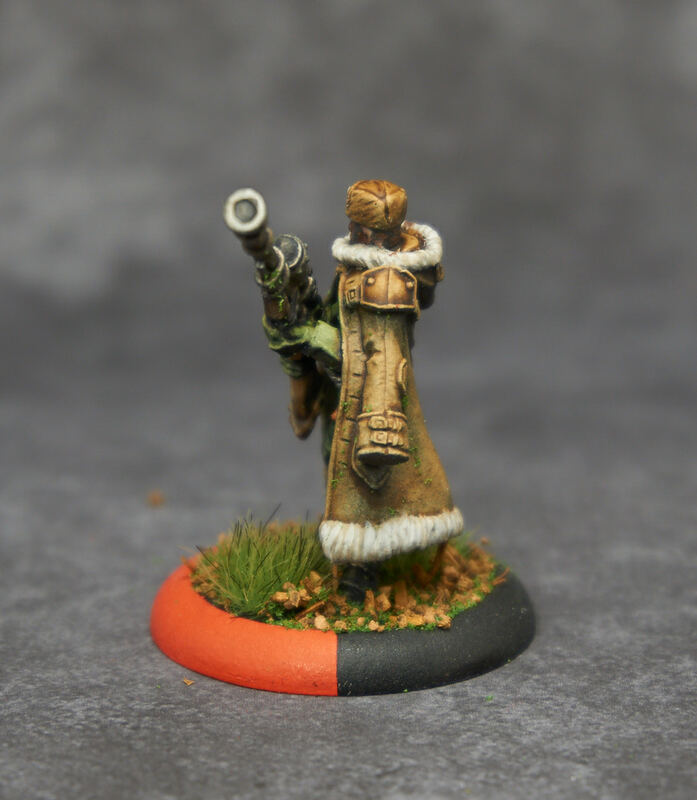 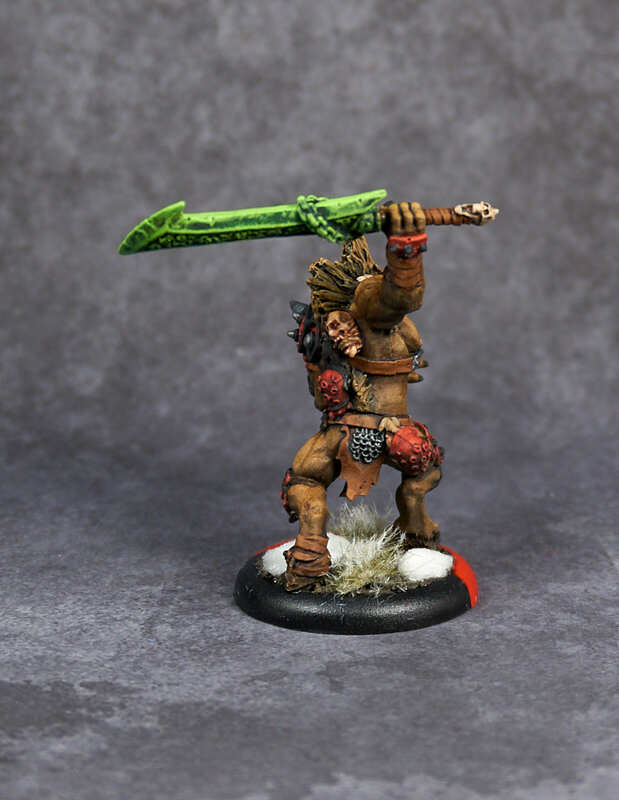 I practice shaded metallics (I took Michael Proctor’s class at ReaperCon this year) on her turbine, gun and axe. 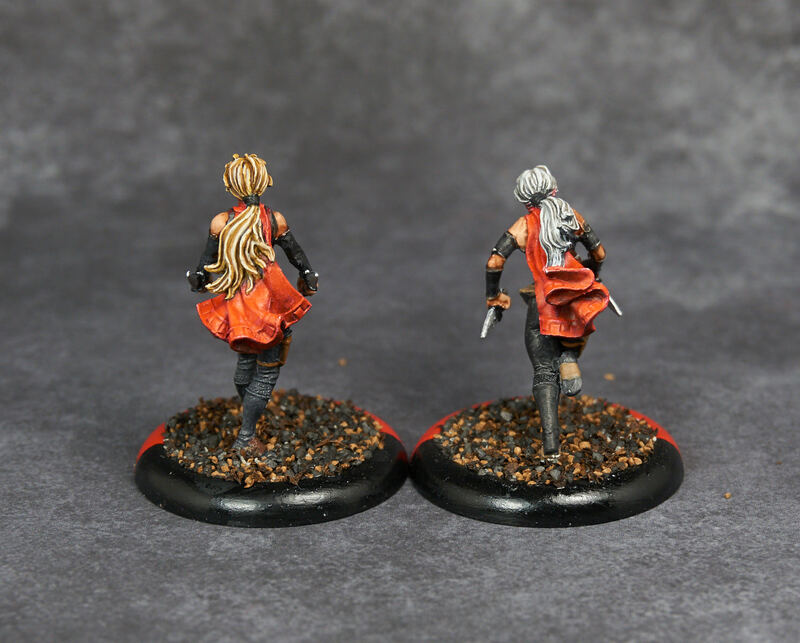 The matte coat dulled the red/orange of her coat down much more than I expected. 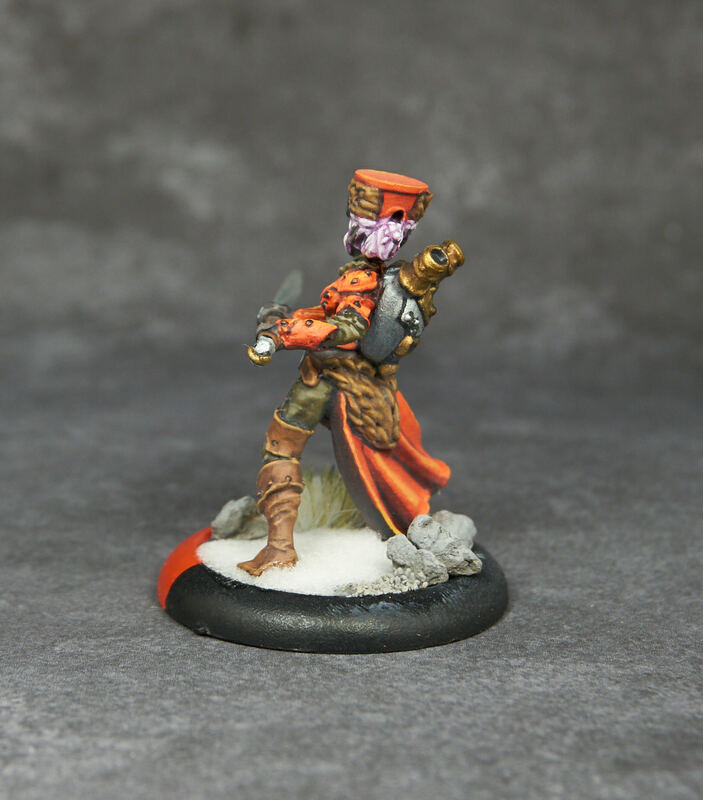 I was a little disappointed honestly, since she was really vibrant.